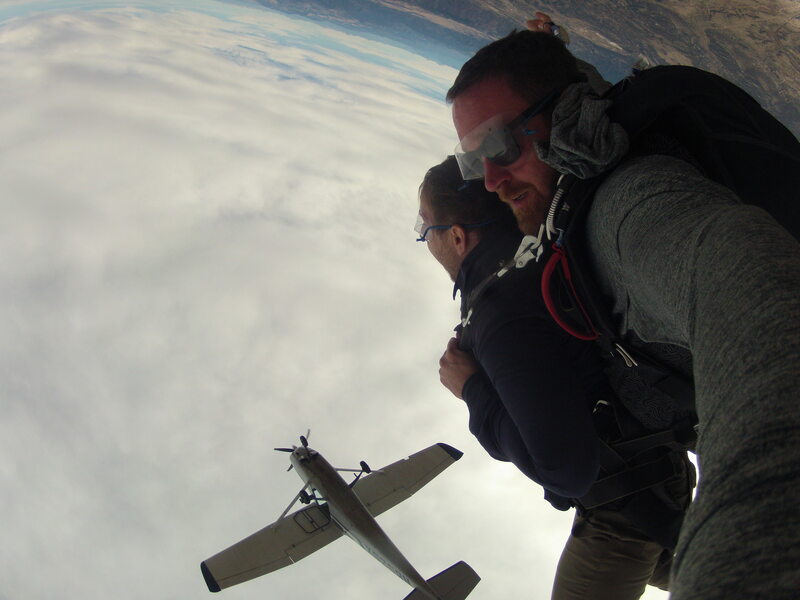 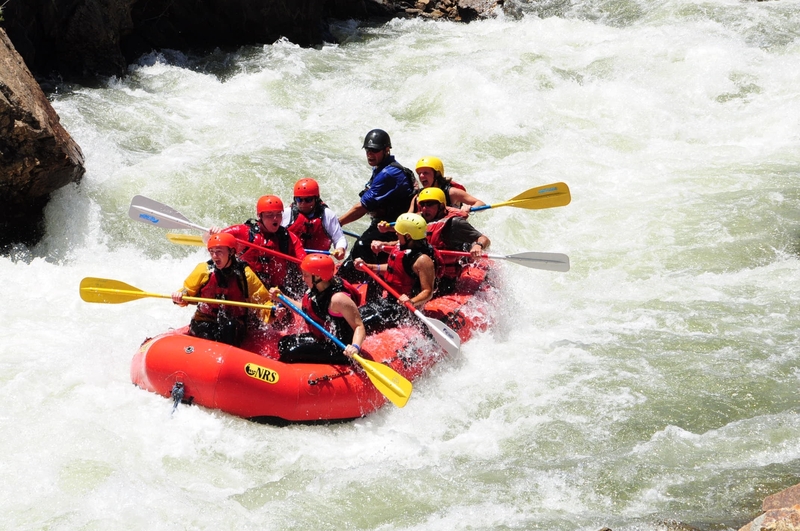 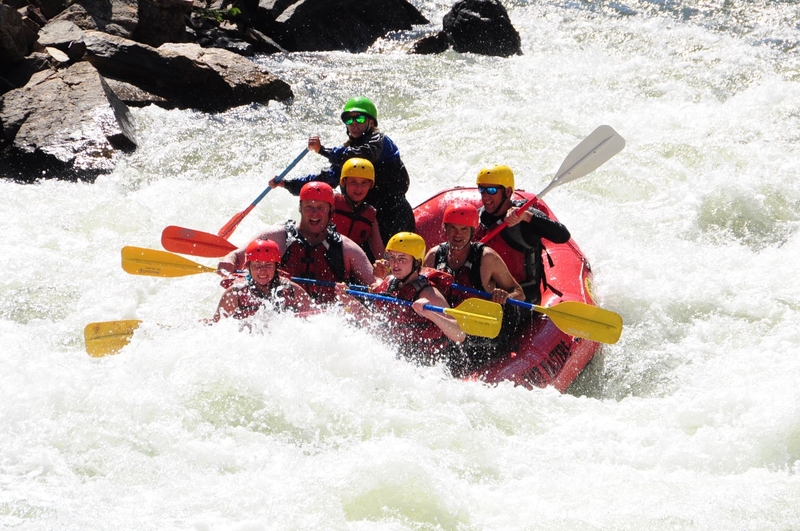 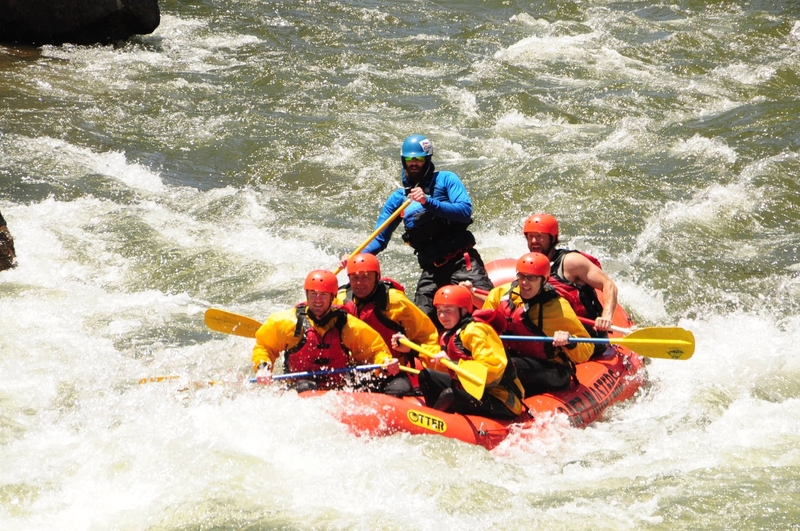 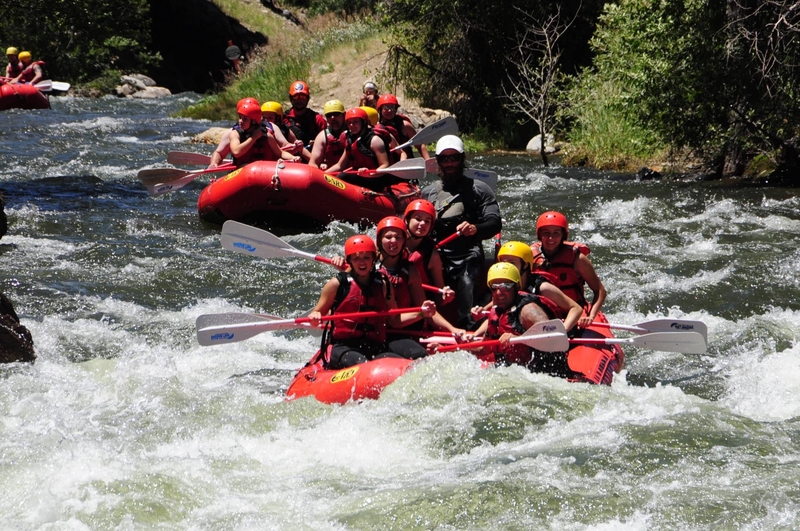 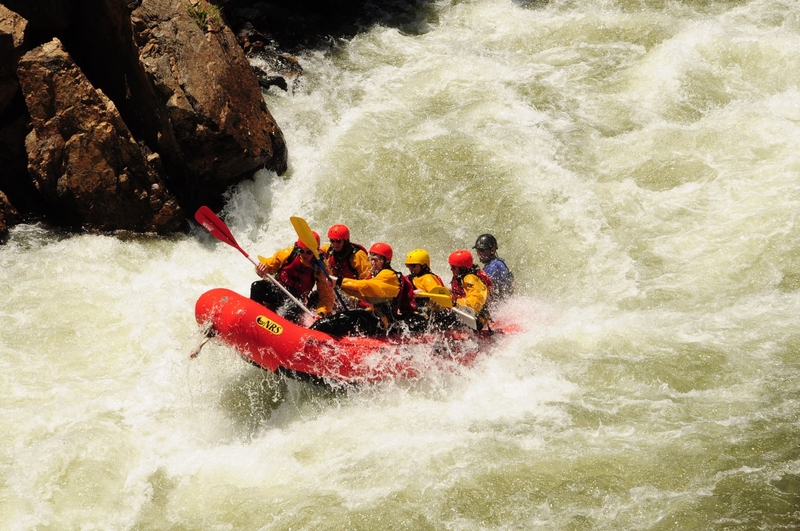 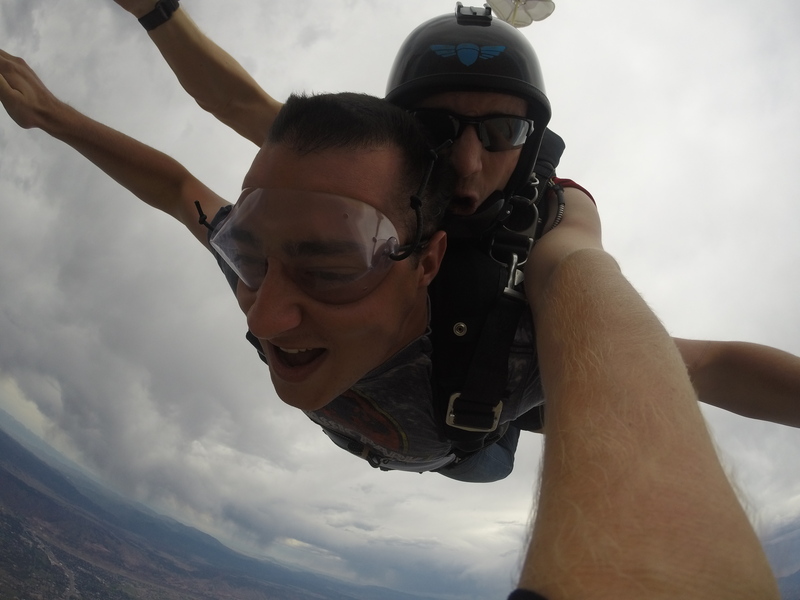 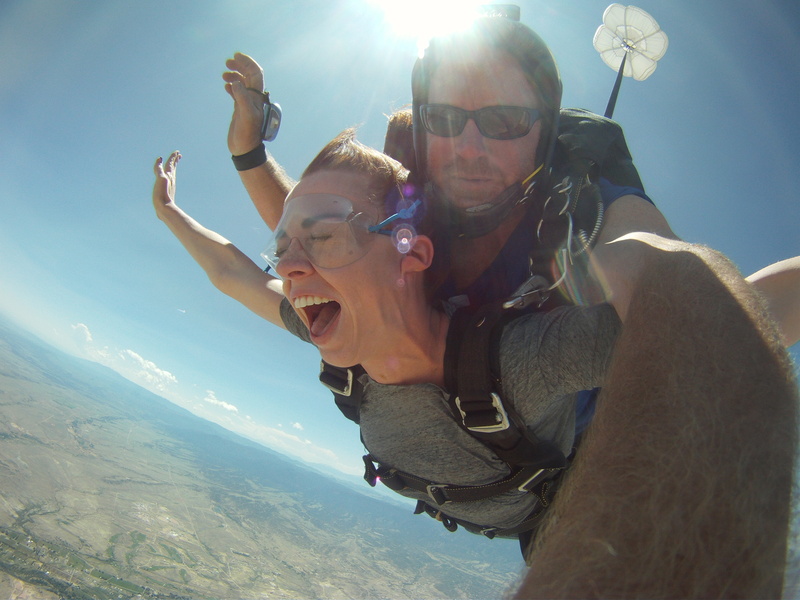 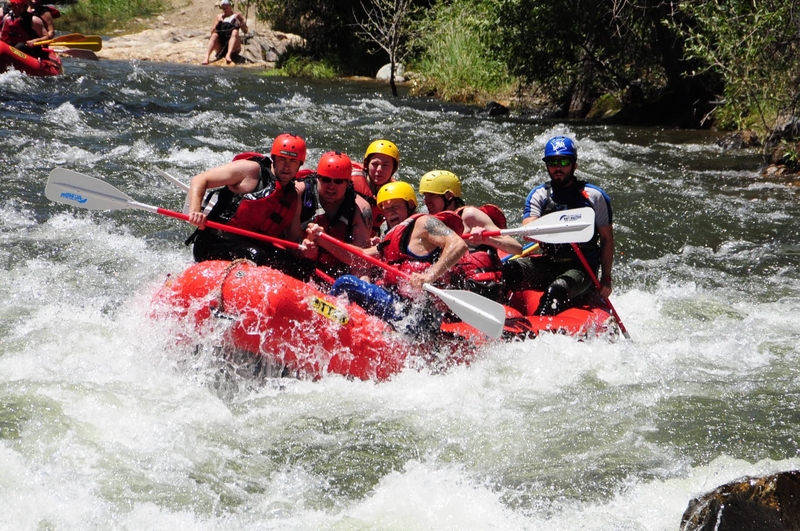 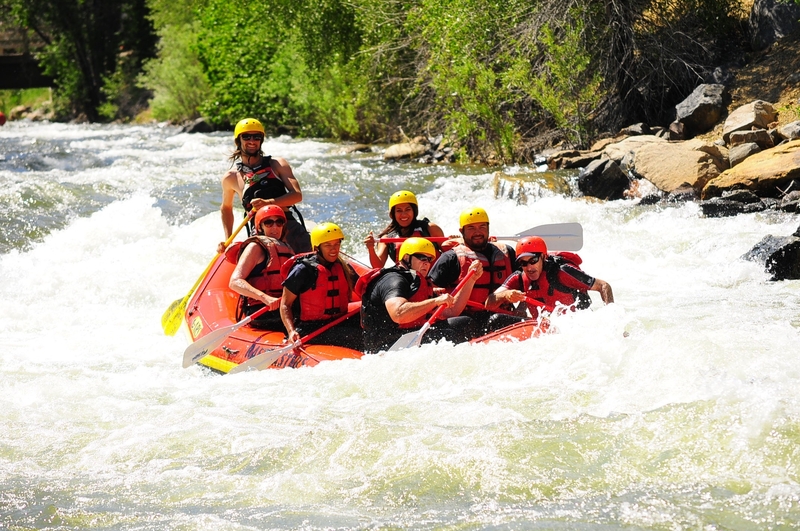 One of the most exciting adventures anyone can experience is rafting on the Arkansas River in September and October. 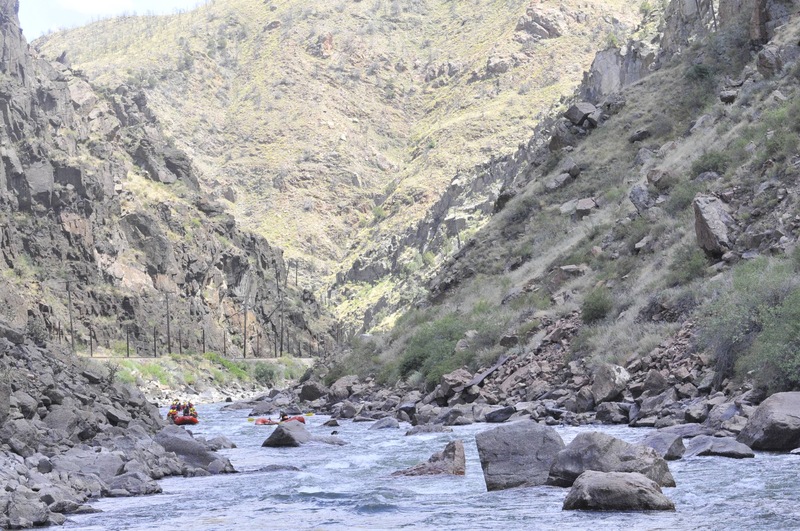 There's fewer people to contend with, the water flow is perfect, the weather is delightfully warm and breezy and the river's flora and fauna are abundantly vivid. 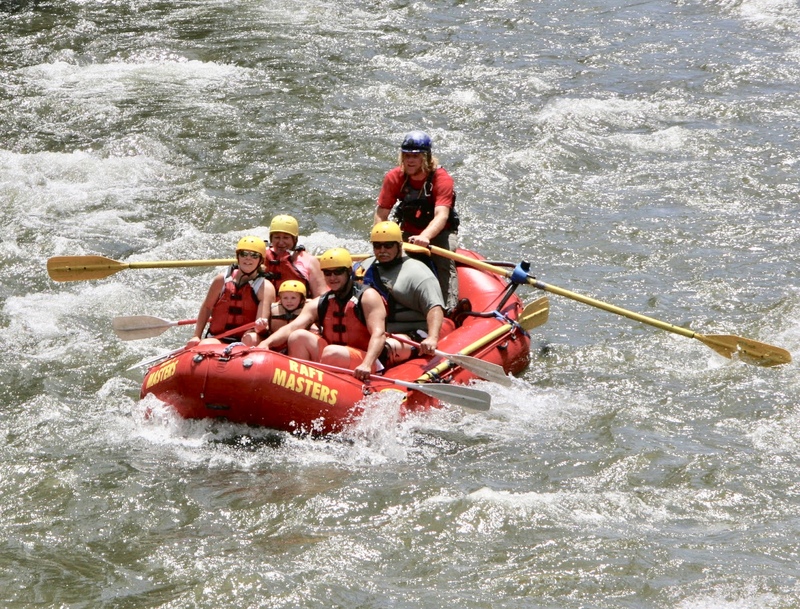 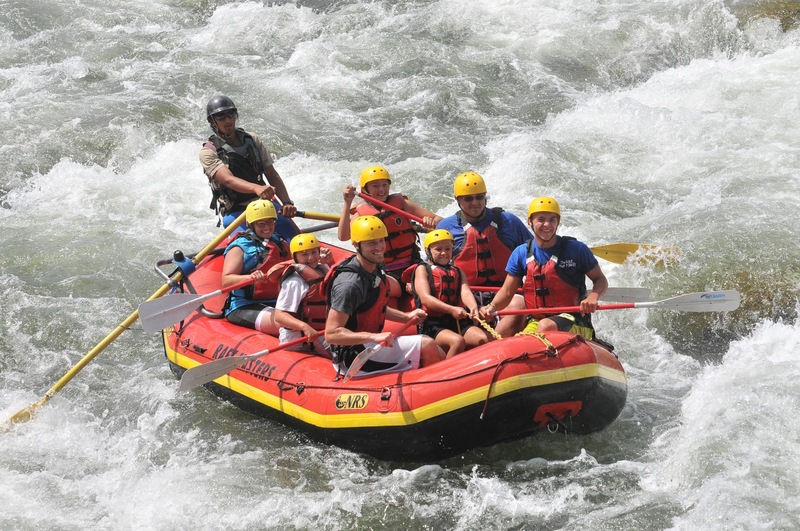 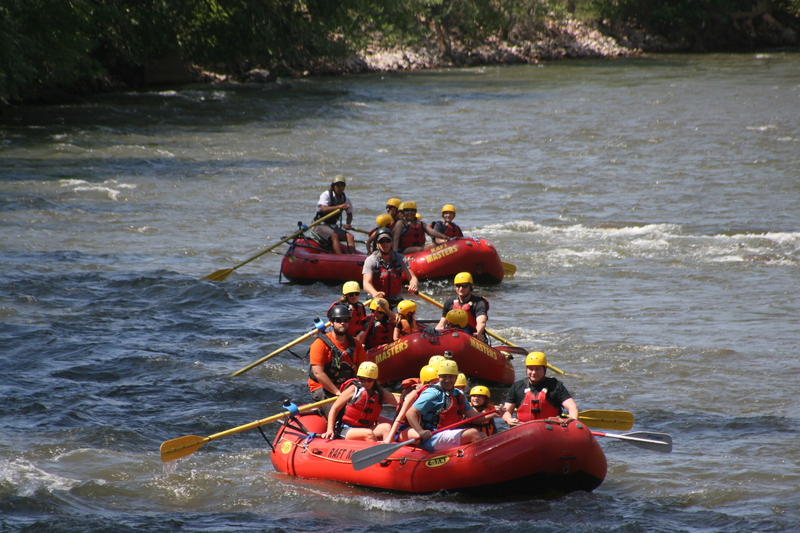 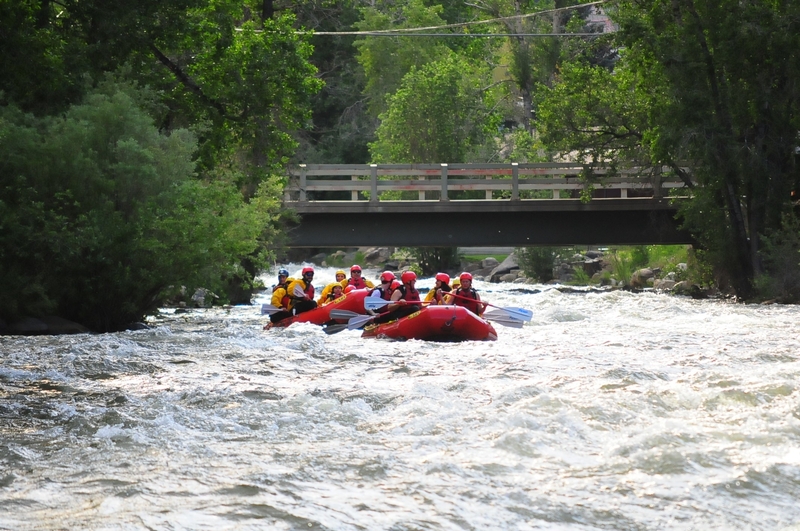 Considered one of the most popular whitewater rafting destinations in the U.S., the Arkansas River offers both experienced and first-time rafters the thrill of a lifetime, with the spectacular panorama of rugged mountains rising in the distance providing the grandest, natural backdrop available in Colorado. 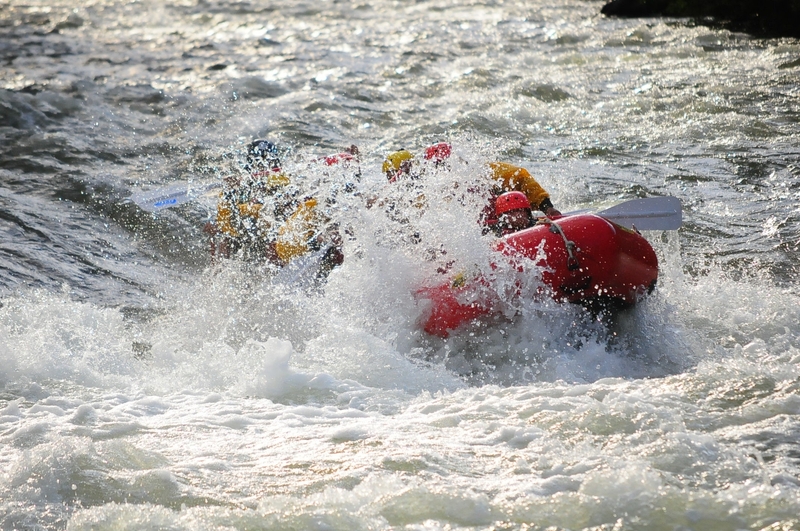 Whitewater rafters love navigating the uncrowded Arkansas River in September and October not only because of the wonderfully refreshing climate and breathtaking waters but also because the natural beauty of the area is brilliantly suffused with the changing colors of the leaves, the softer glow of the early fall sun and the animated activity of animals foraging for last-minute winter food. 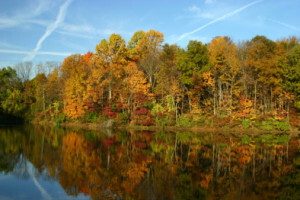 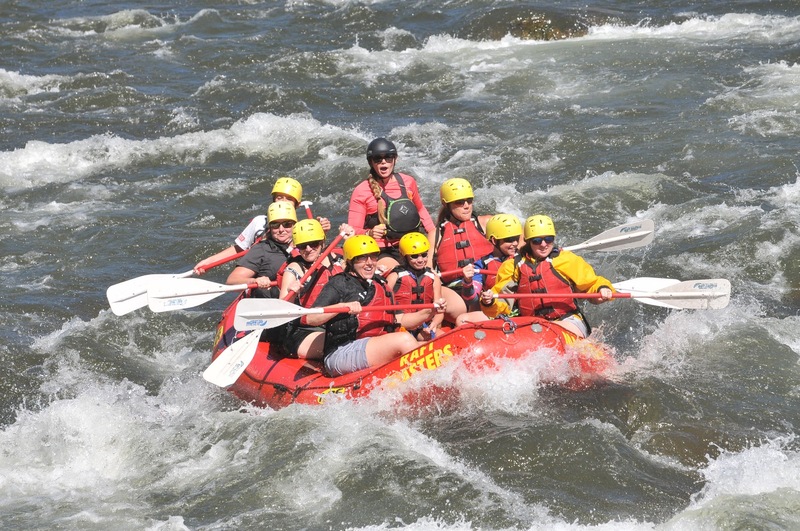 The Arkansas River is the sixth longest river in the U.S, nearly 1500 miles long and originating in the Rocky Mountains. 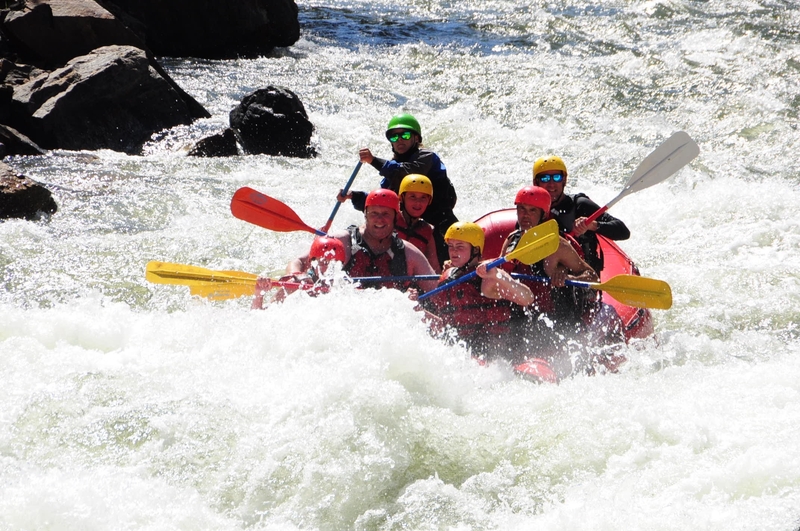 Flowing across three states, this river ends in Arkansas where it becomes a major tributary in the Missouri-Mississippi river system. 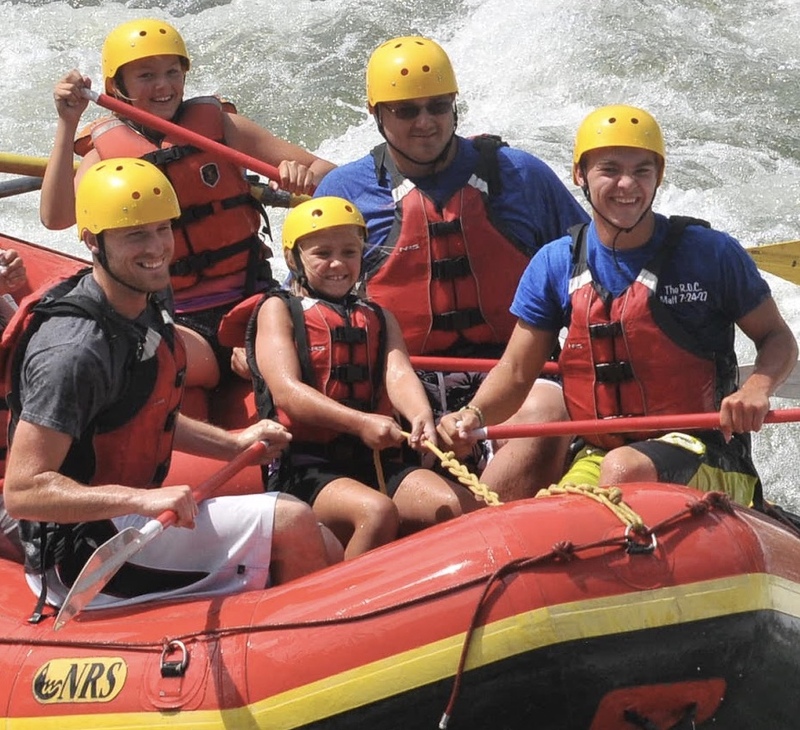 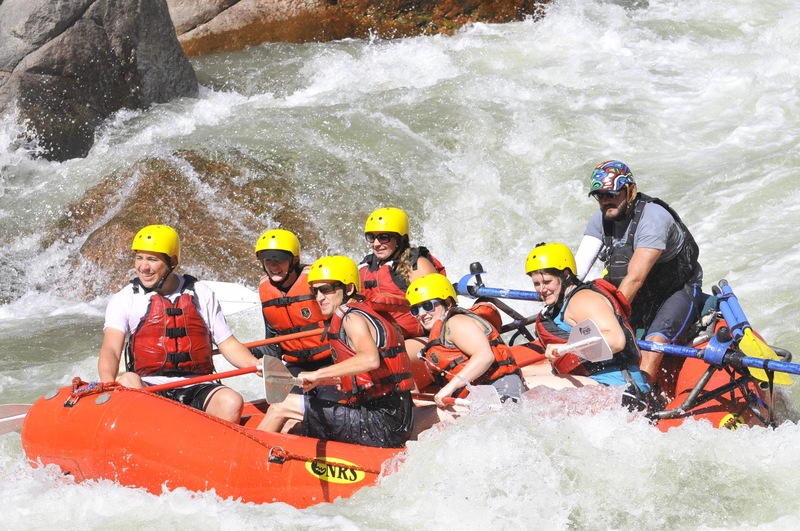 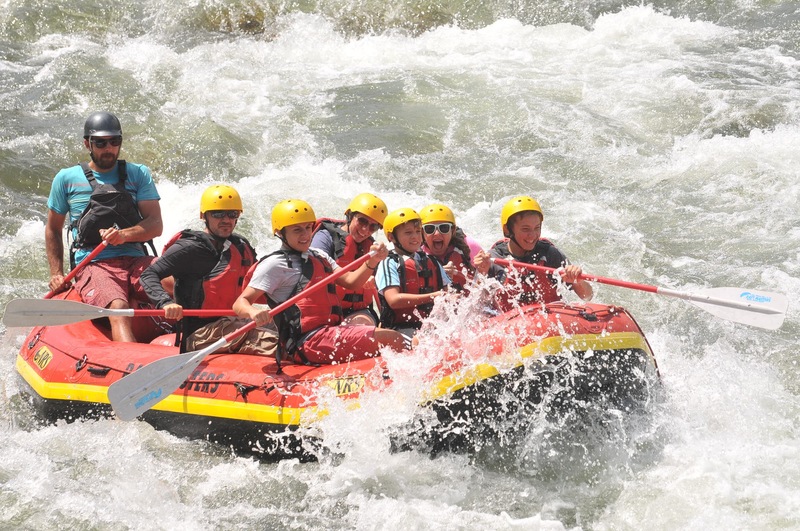 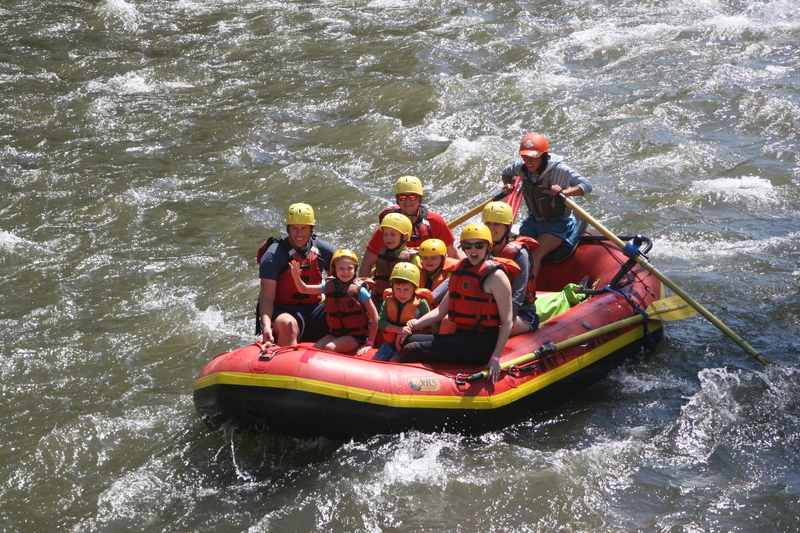 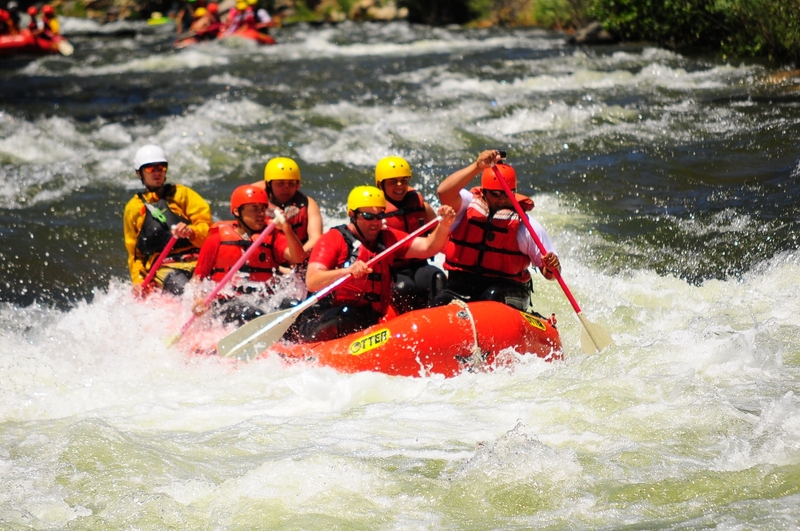 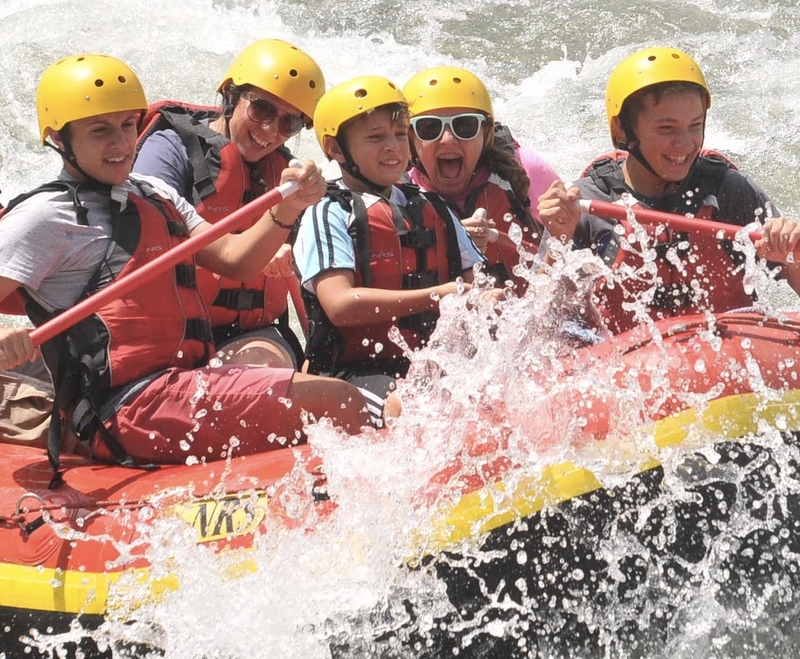 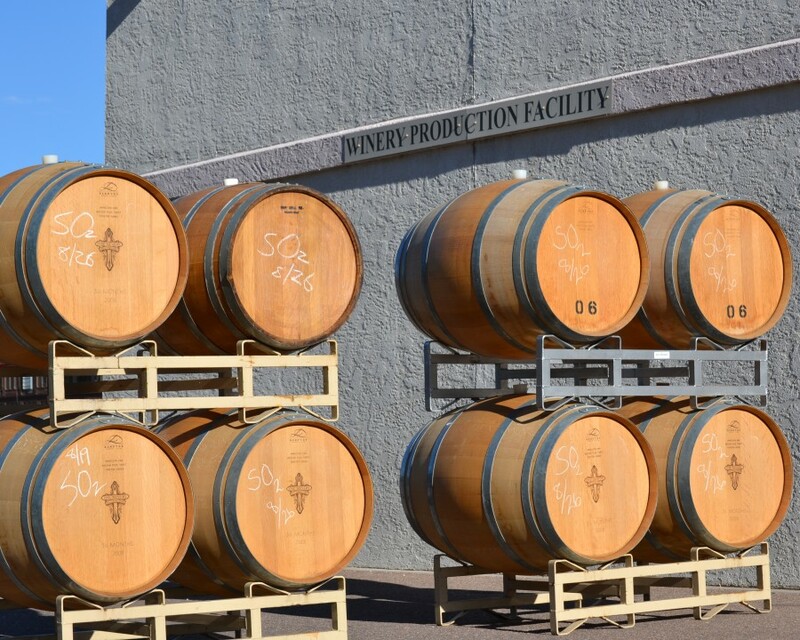 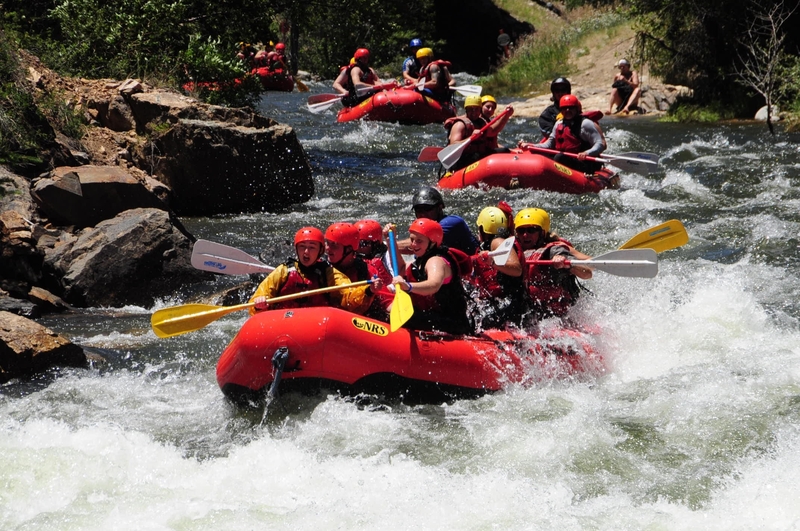 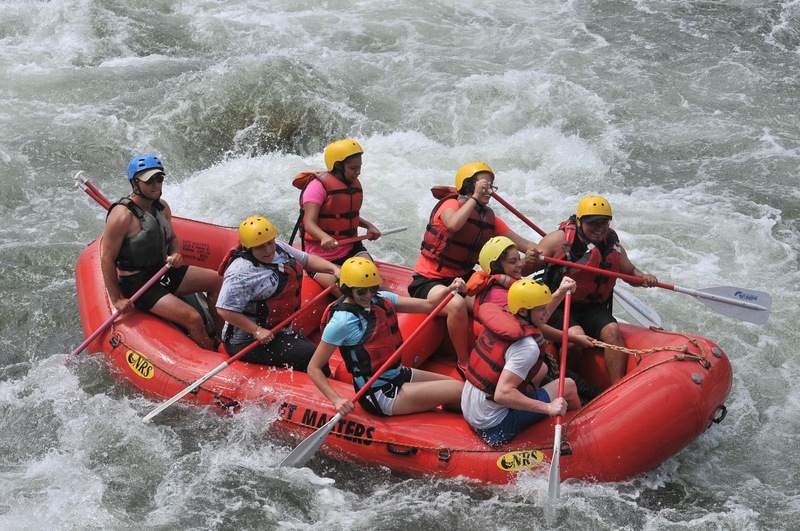 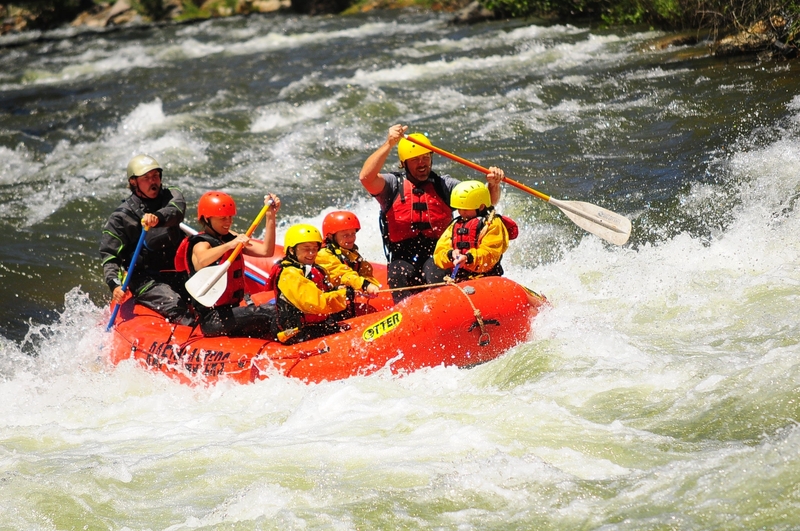 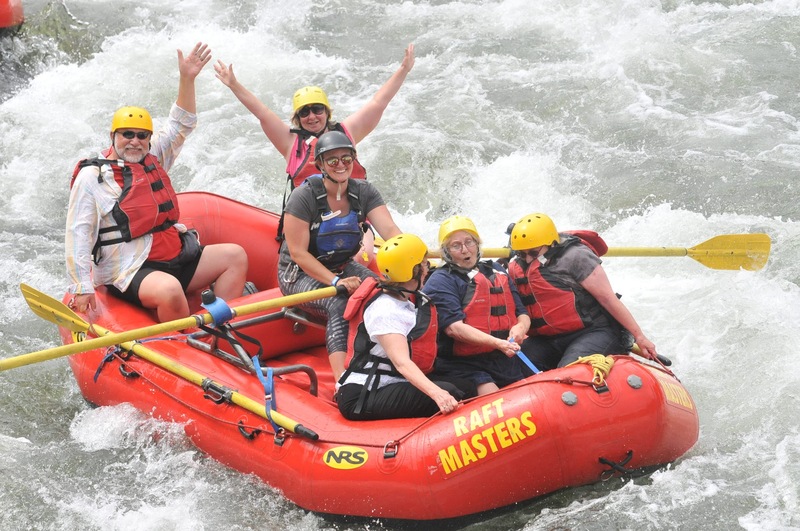 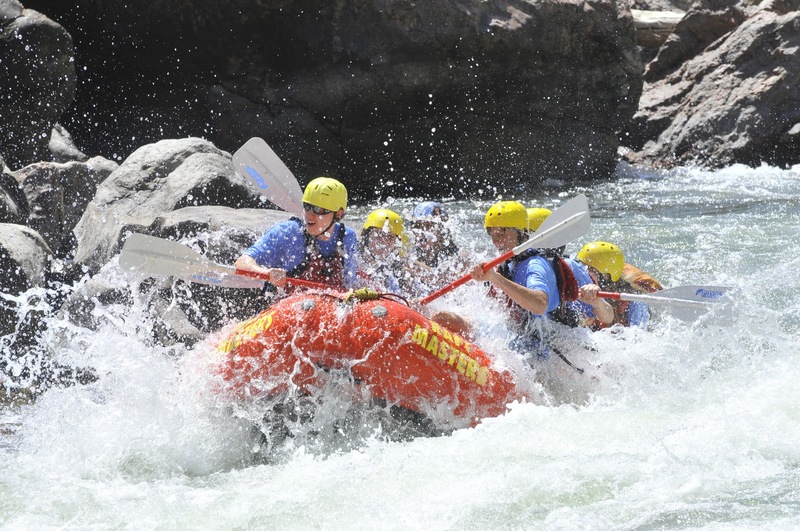 In addition to experiencing an exciting and satisfying adrenaline rush, whitewater rafting on the Arkansas River in late summer/early fall you can also expect to get wet at times, which is often a welcome reprieve from the strong afternoon sun. 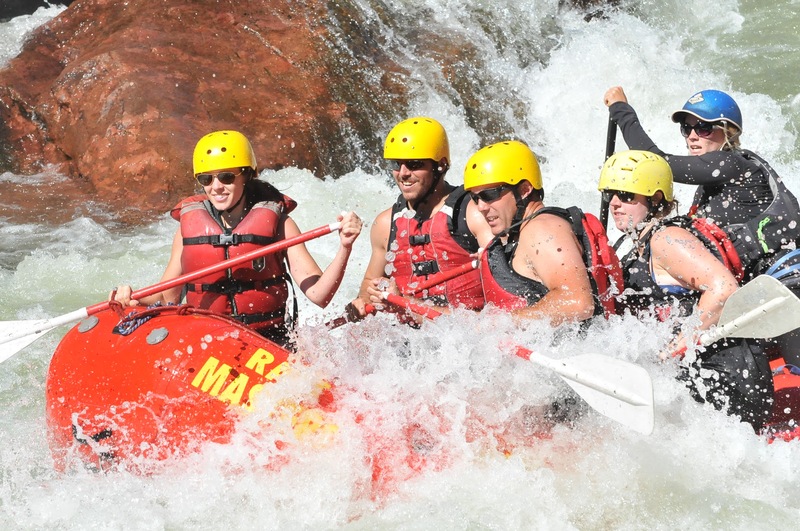 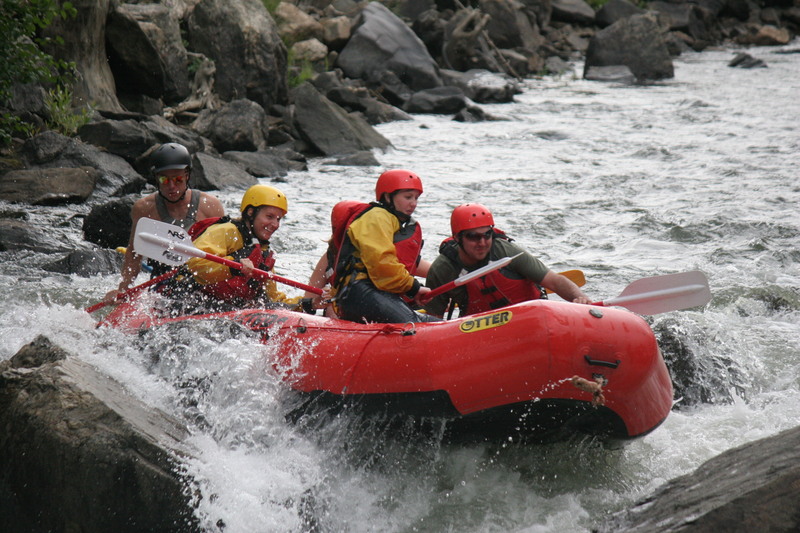 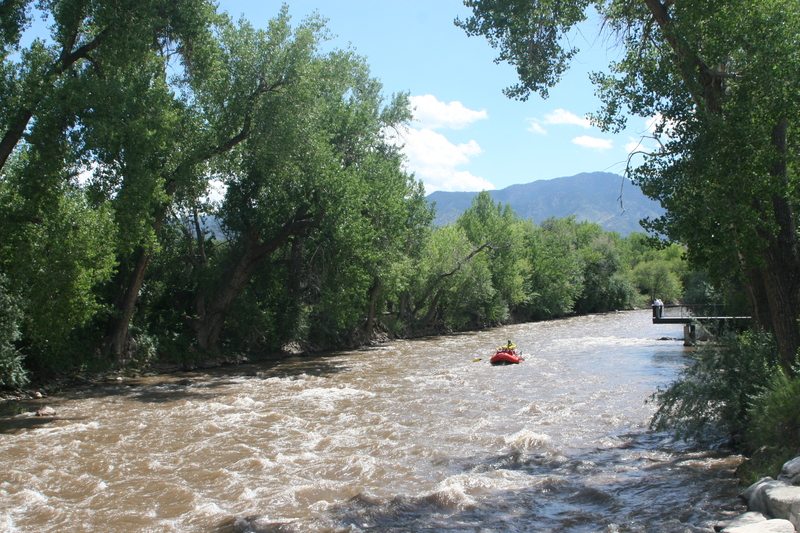 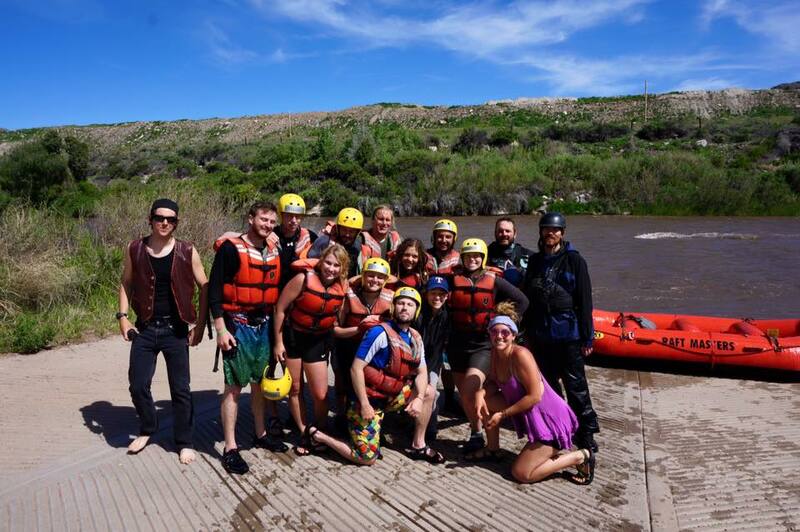 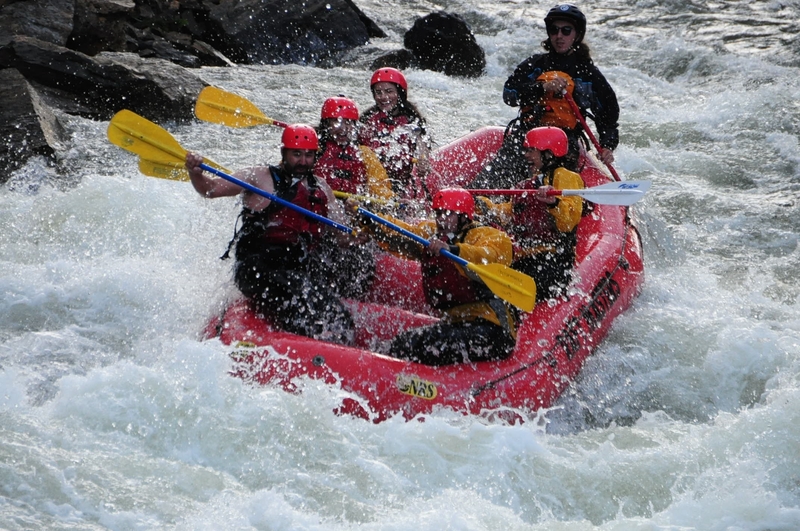 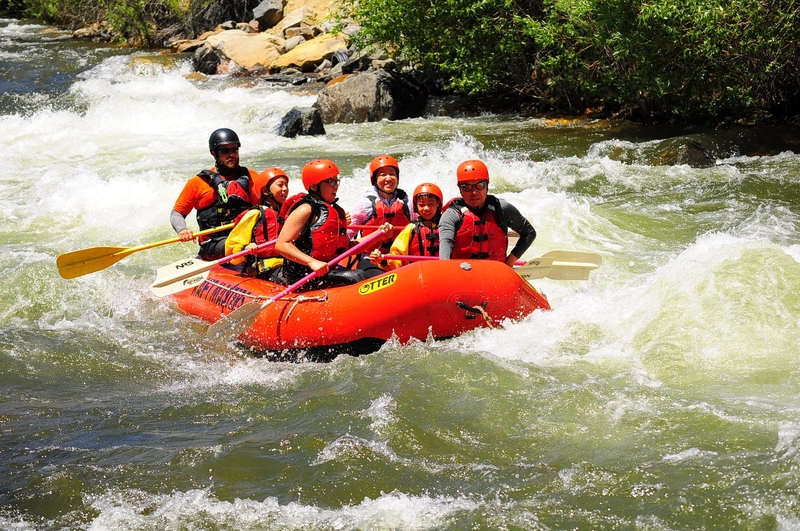 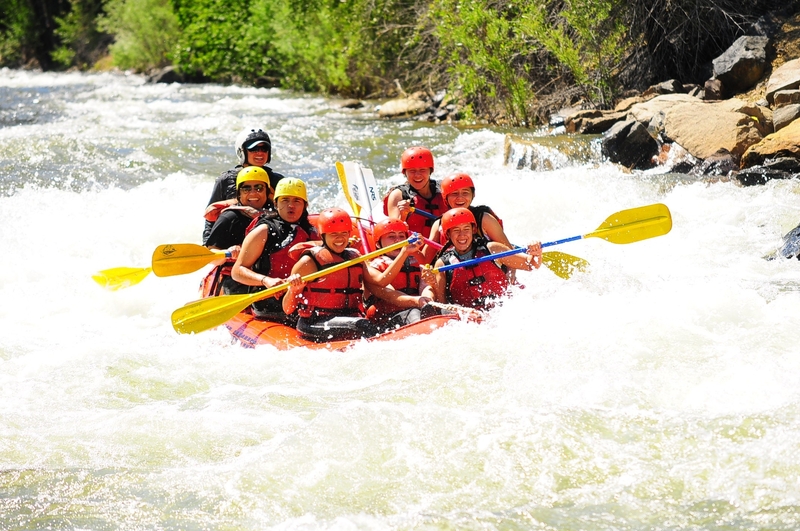 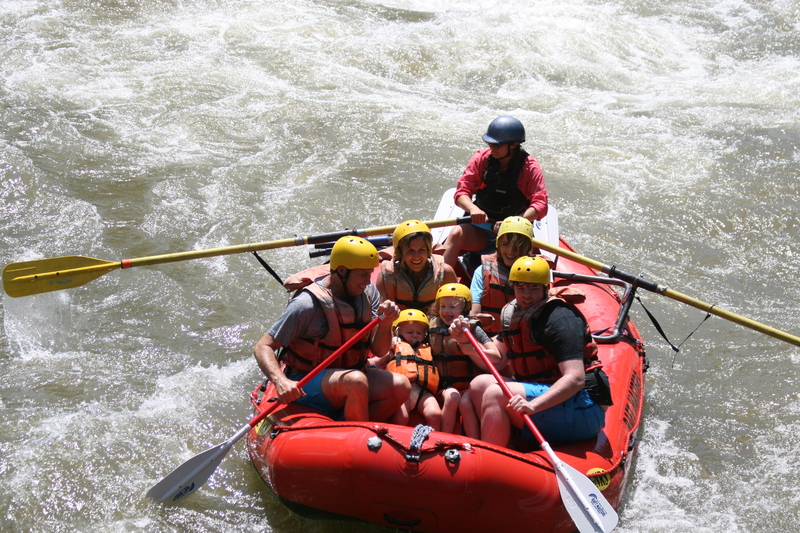 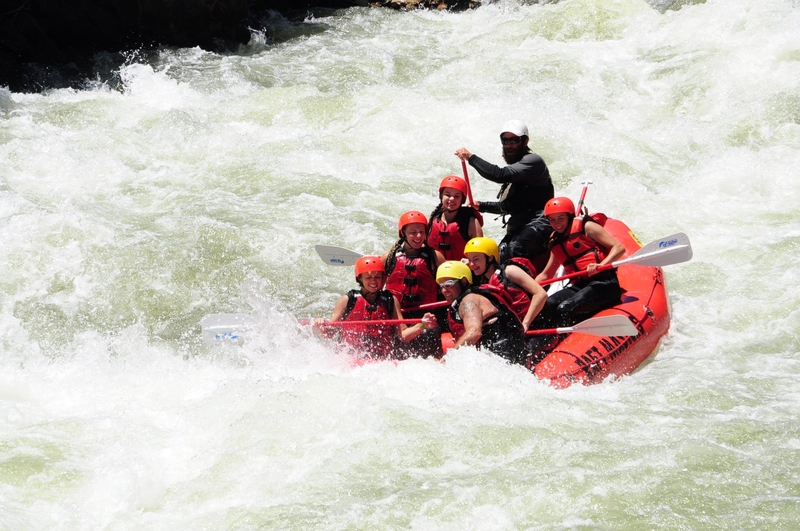 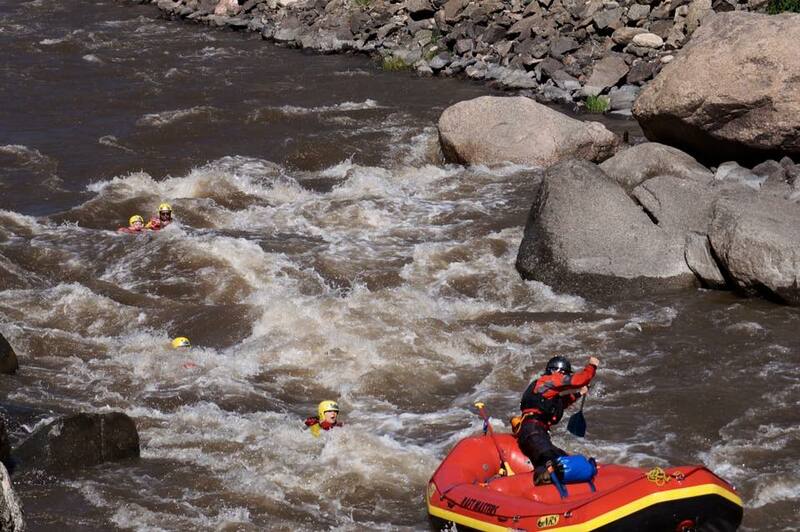 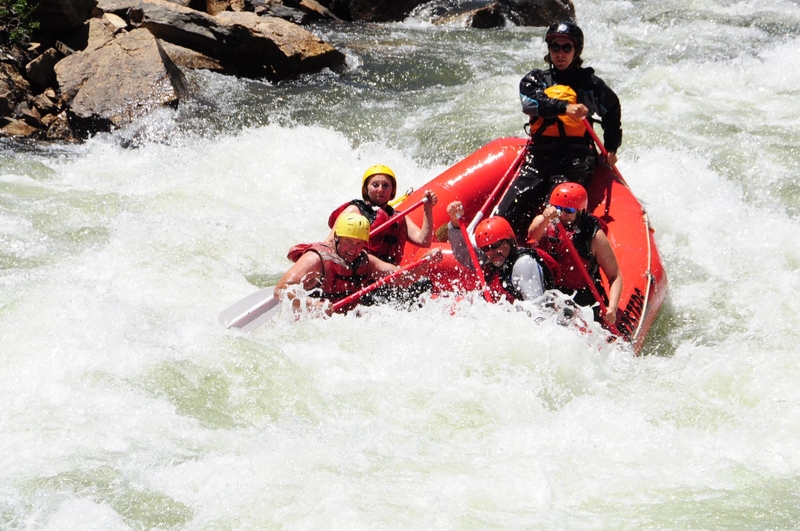 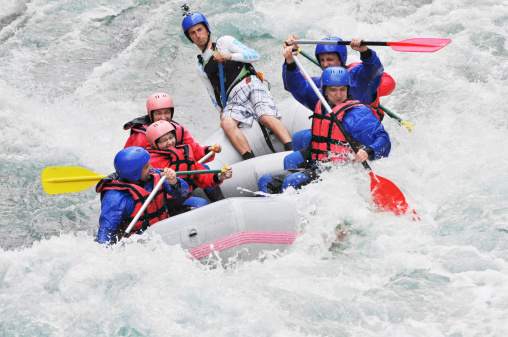 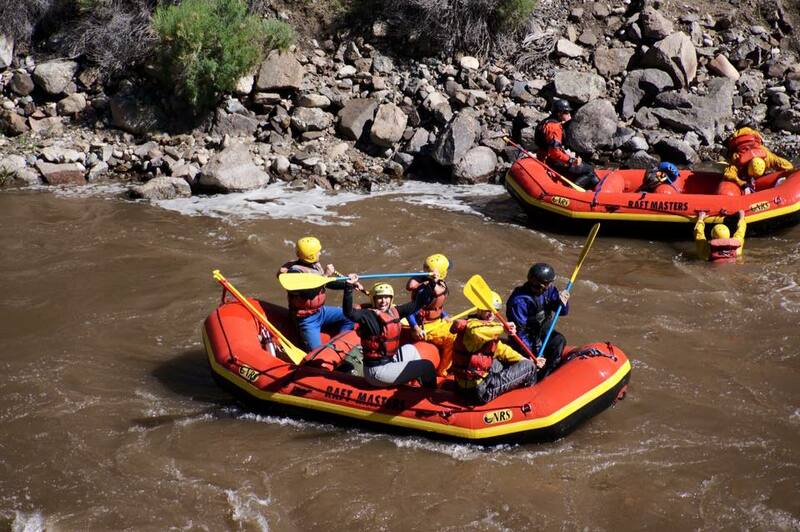 In fact, if you don't get wet while rafting, you’re probably not on the Arkansas River! 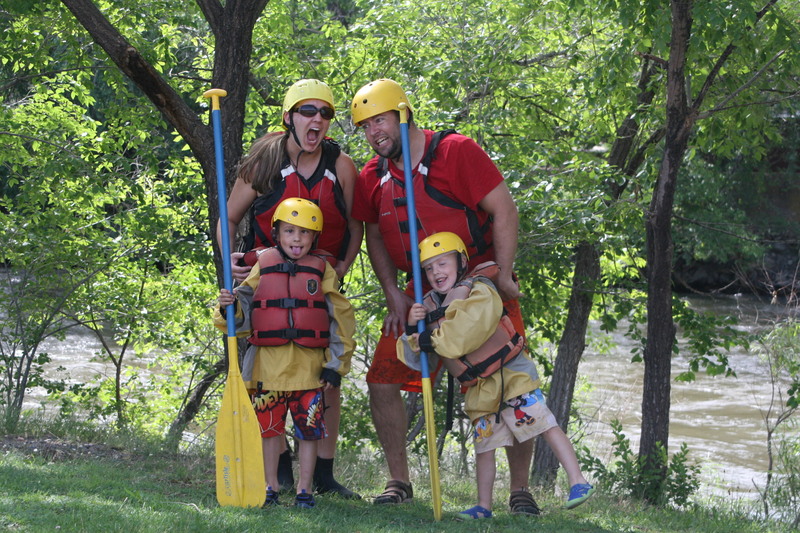 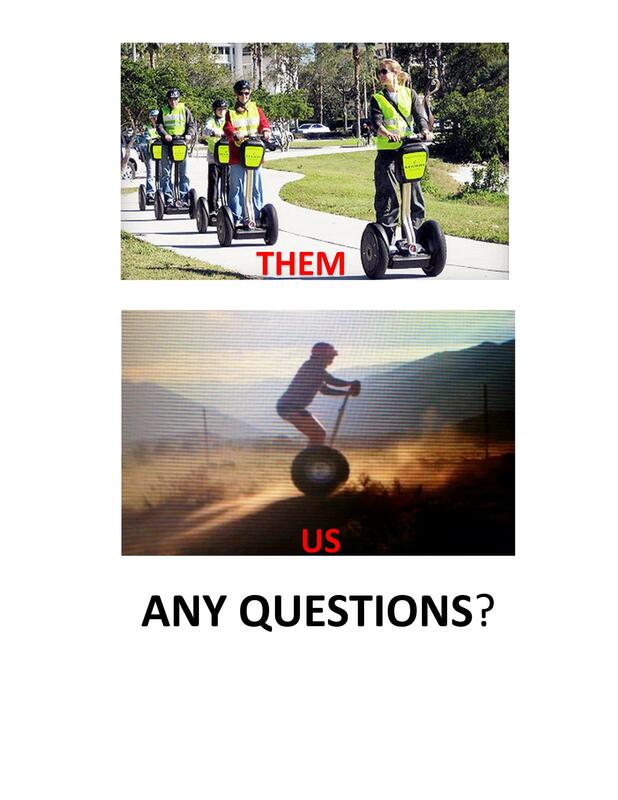 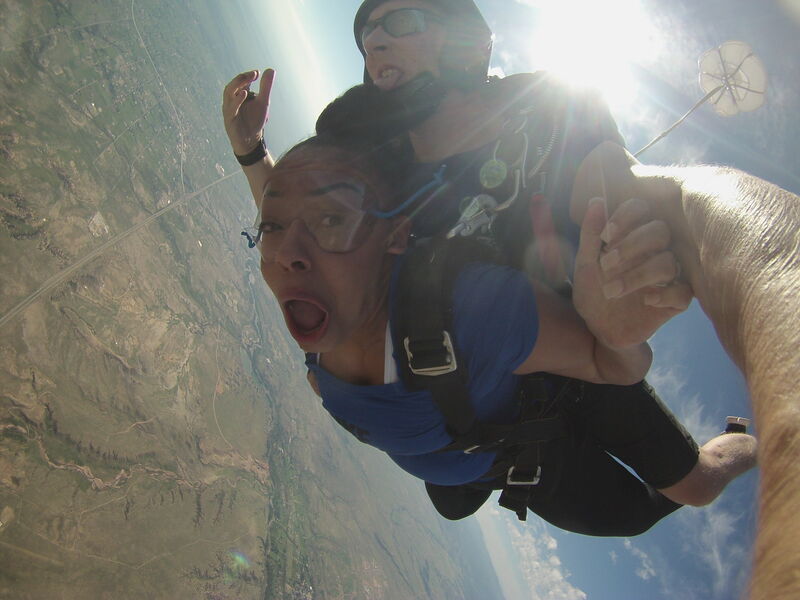 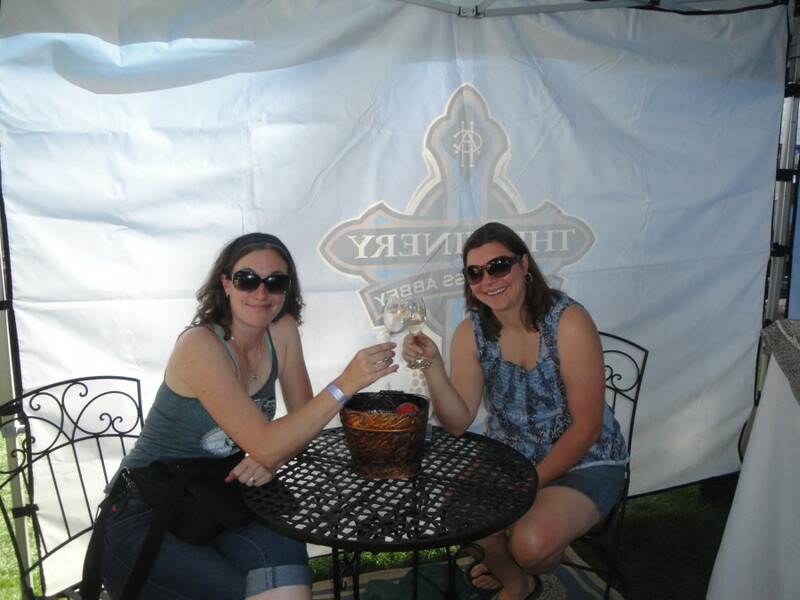 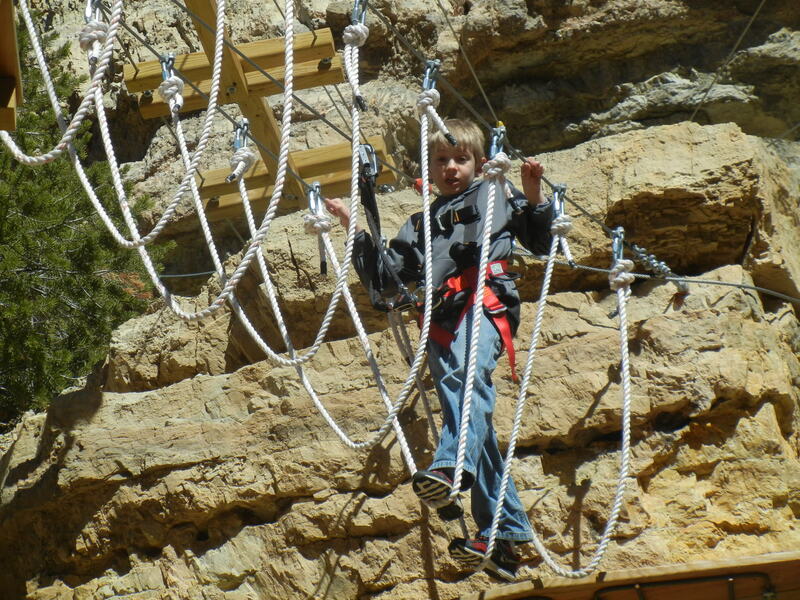 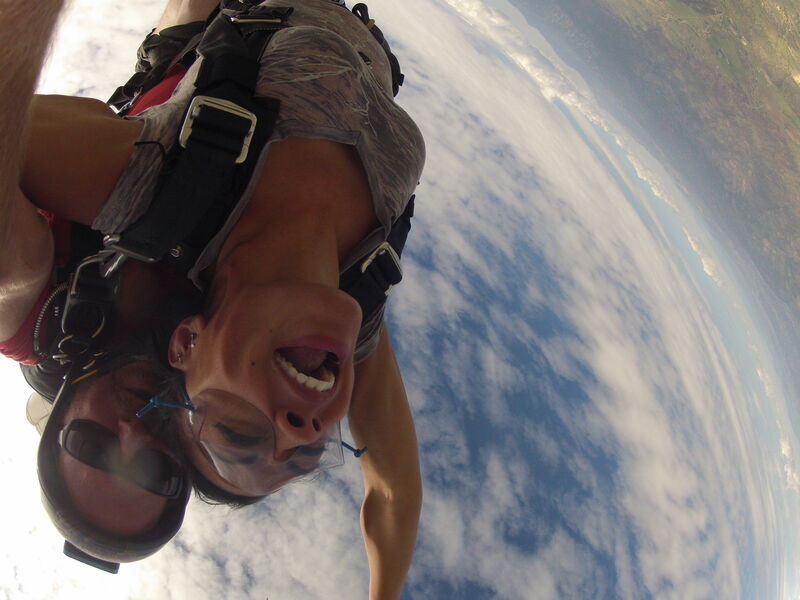 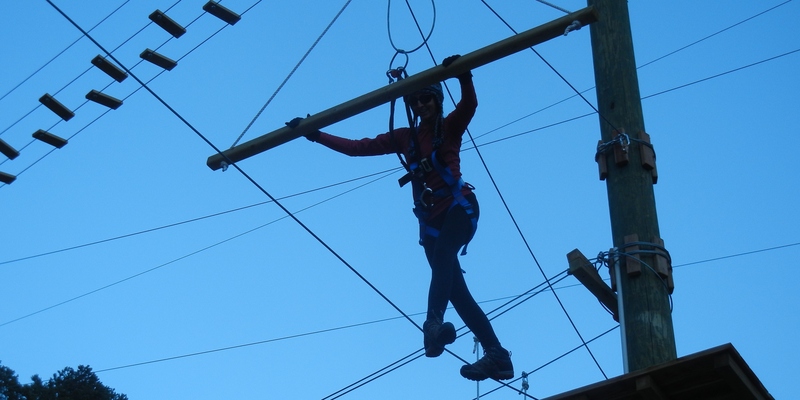 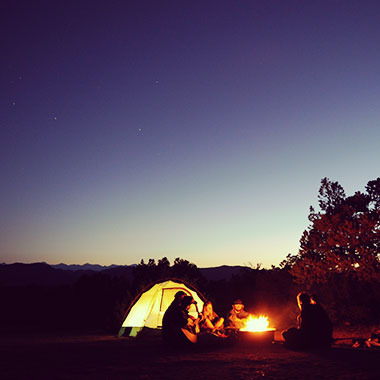 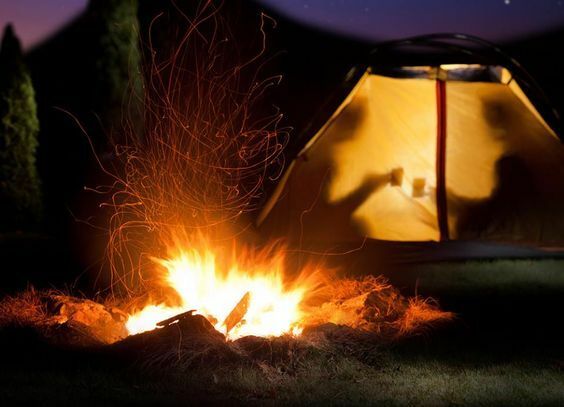 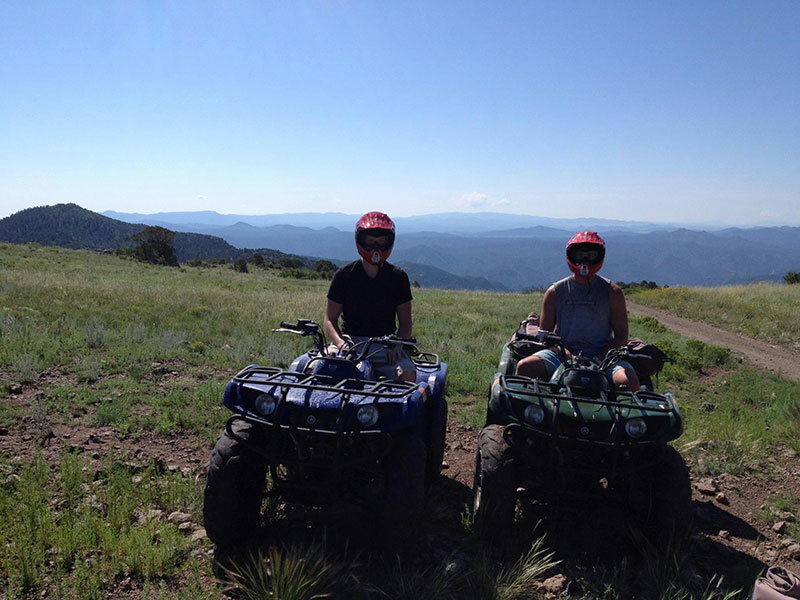 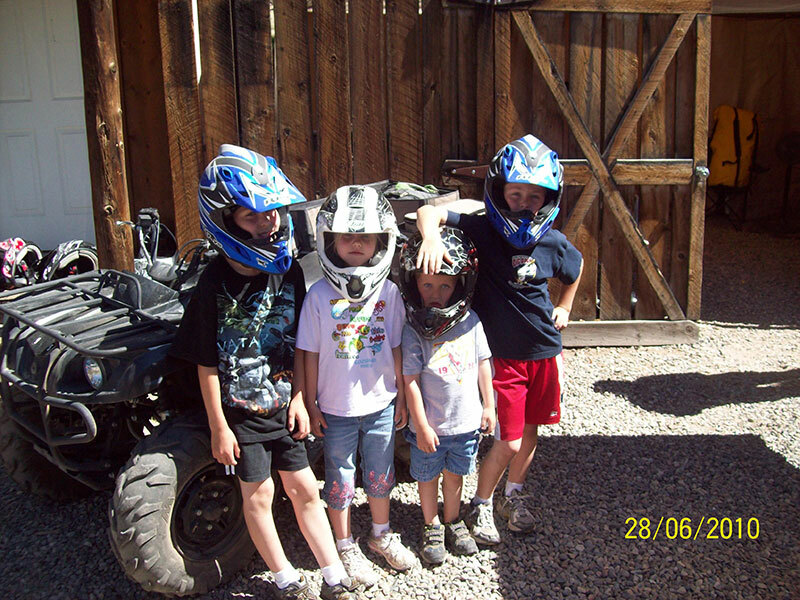 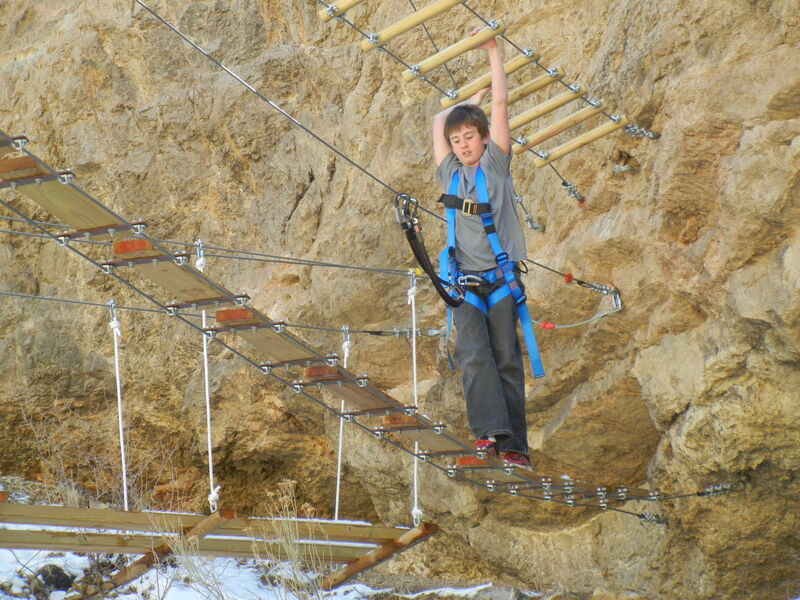 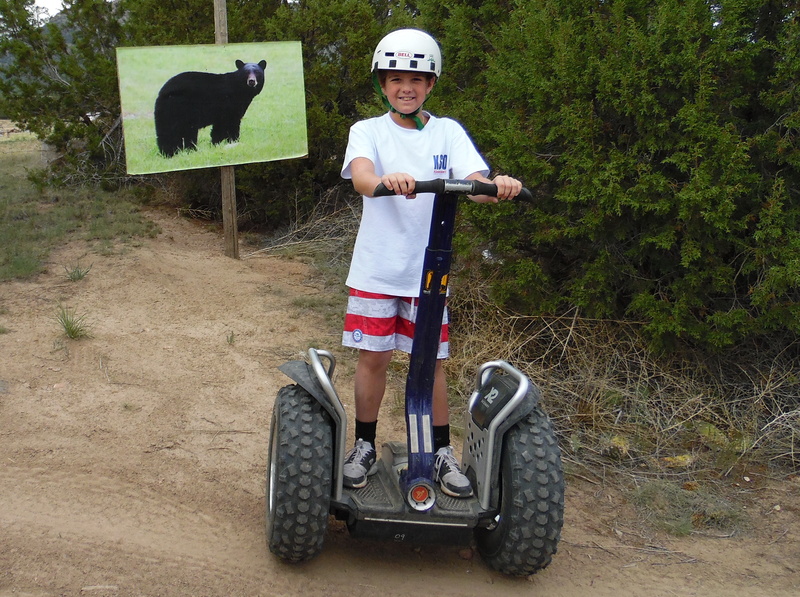 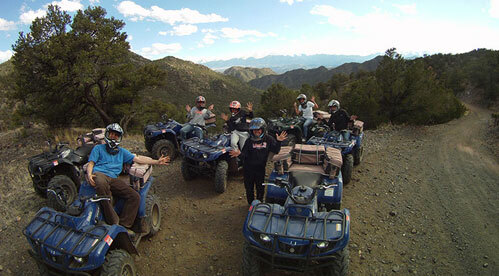 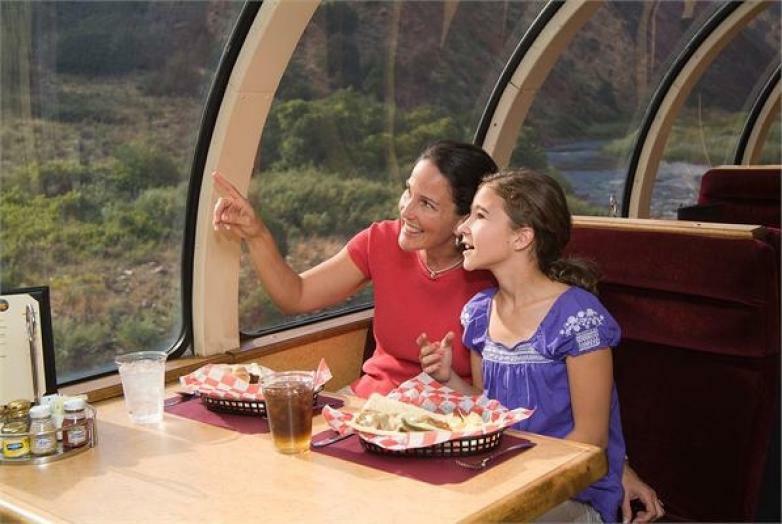 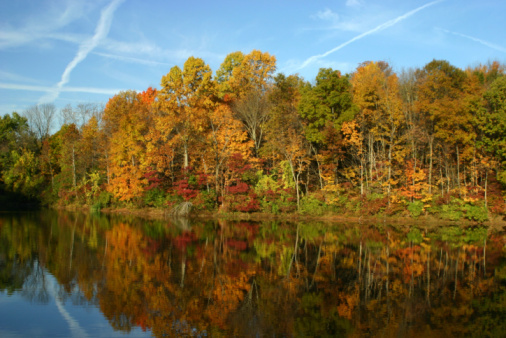 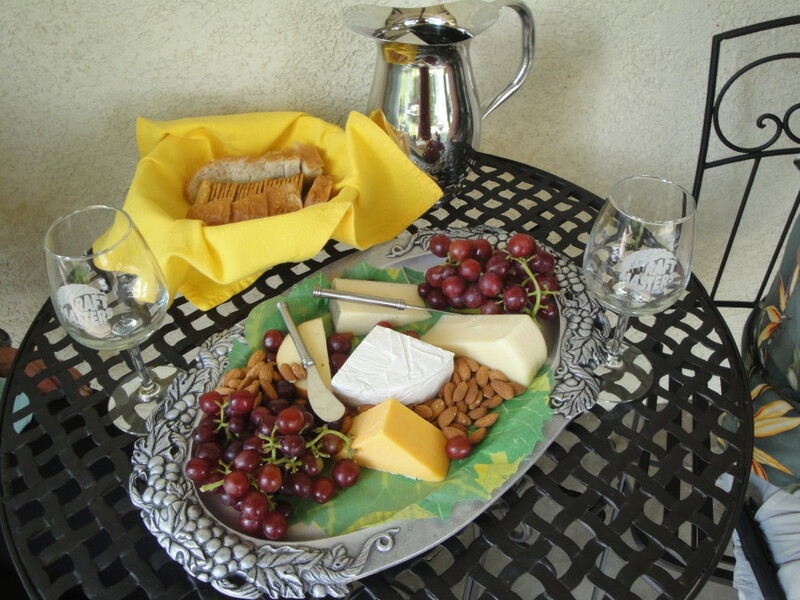 Expect you and your family to have the best vacation or weekend adventure EVER! 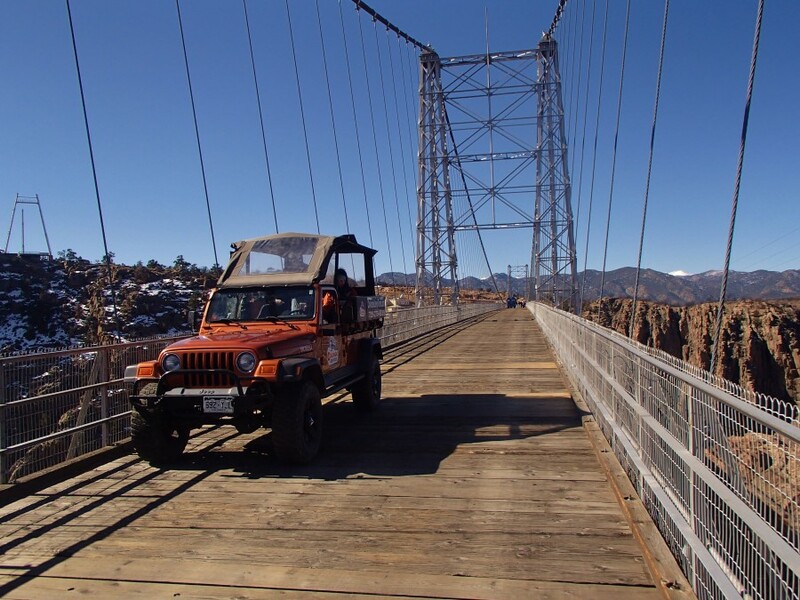 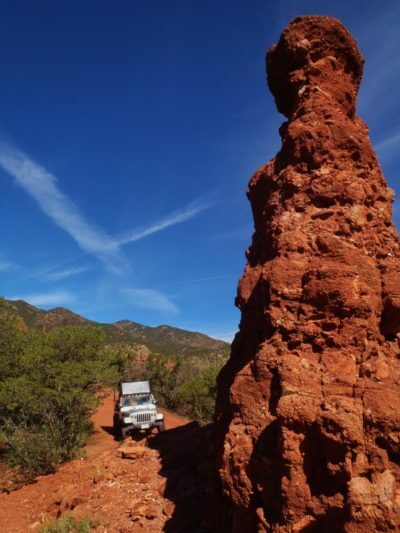 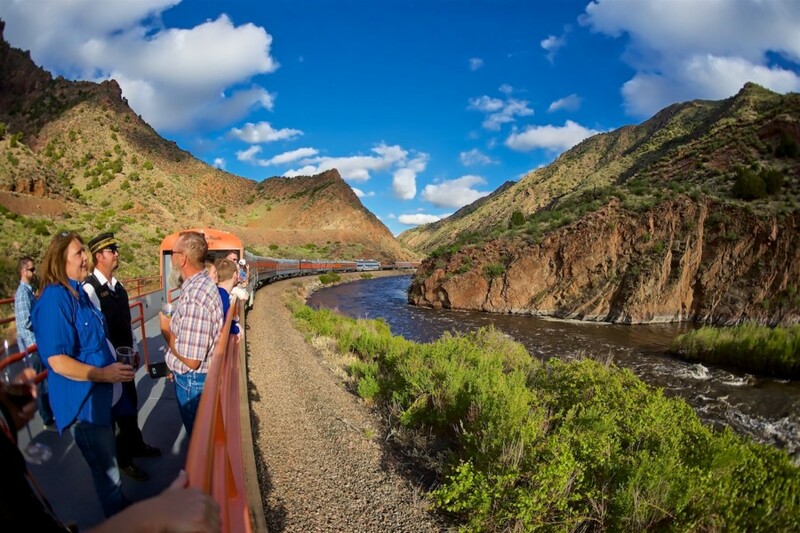 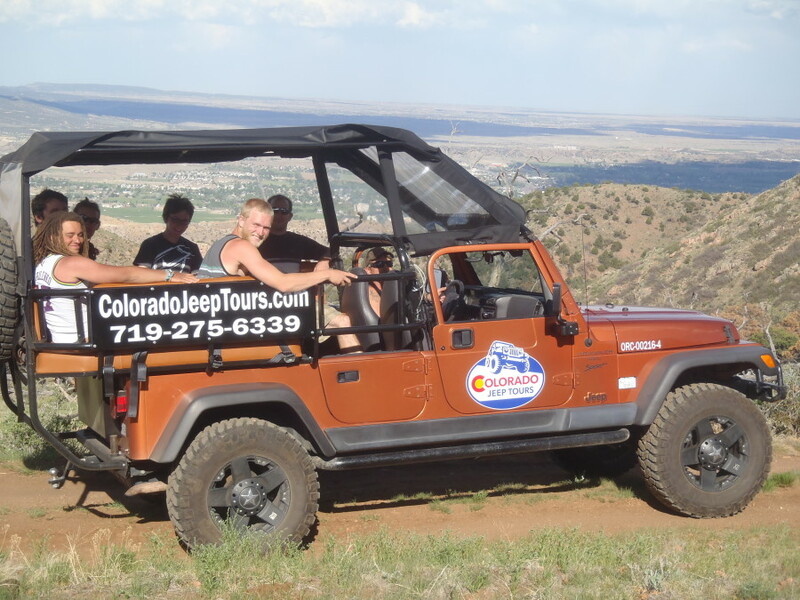 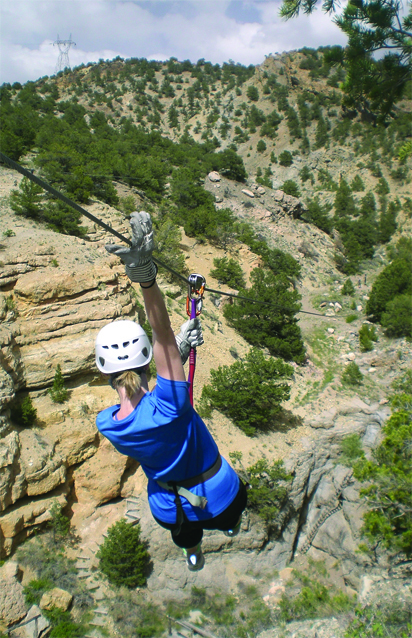 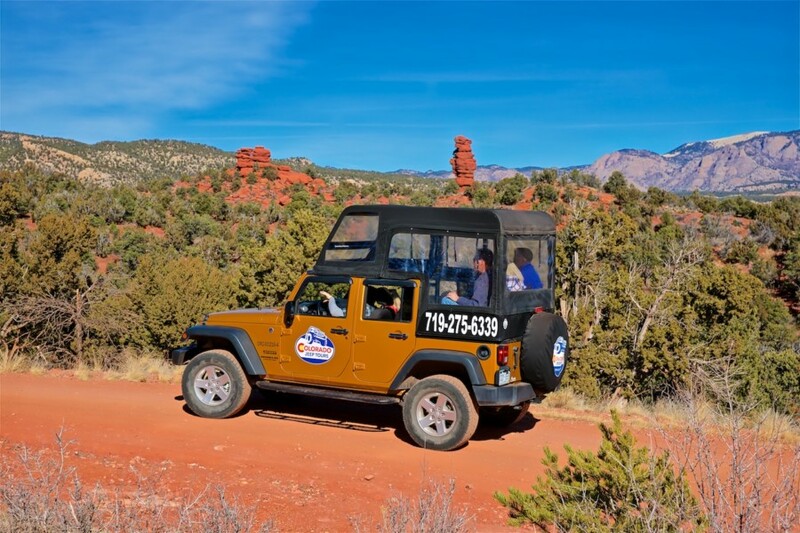 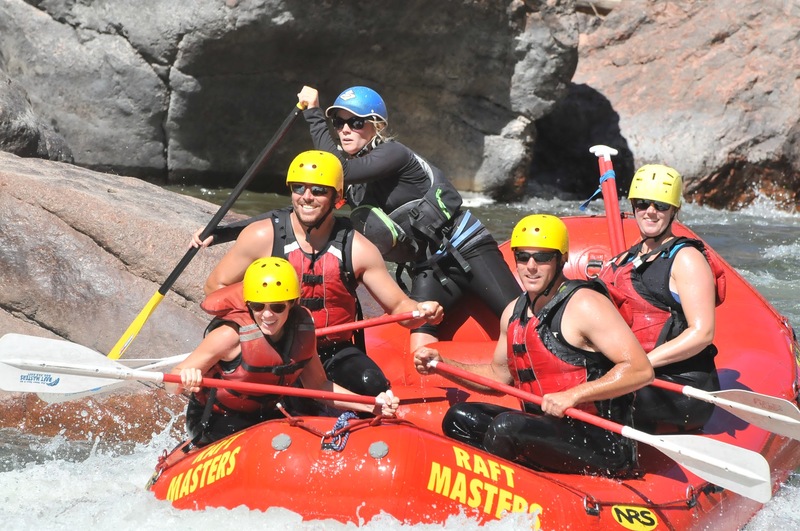 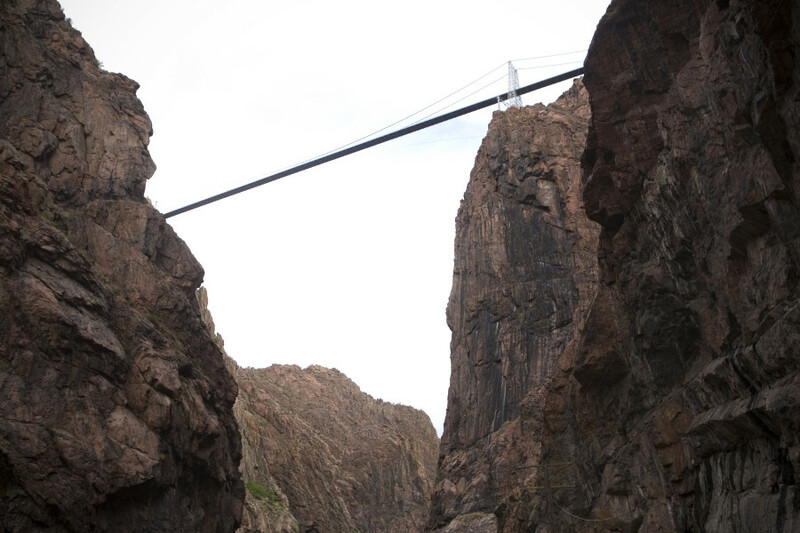 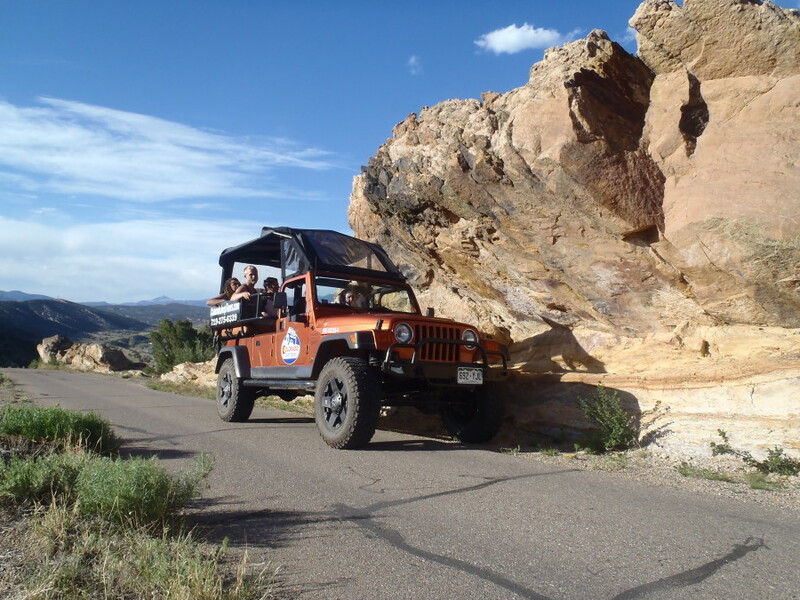 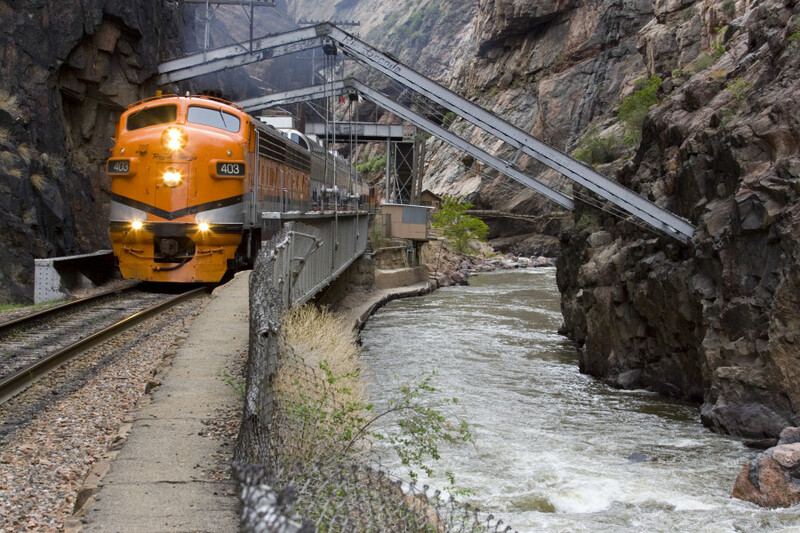 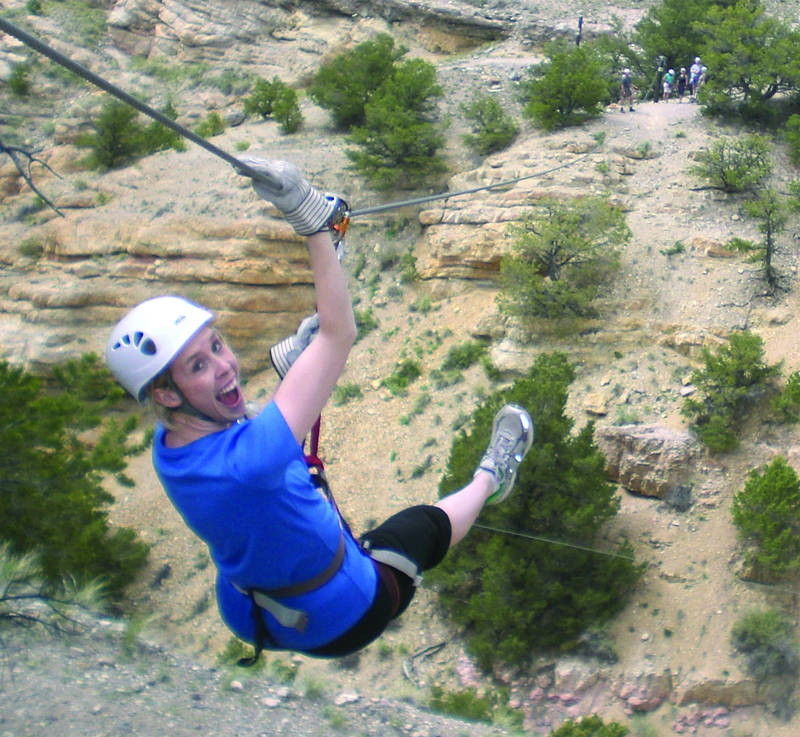 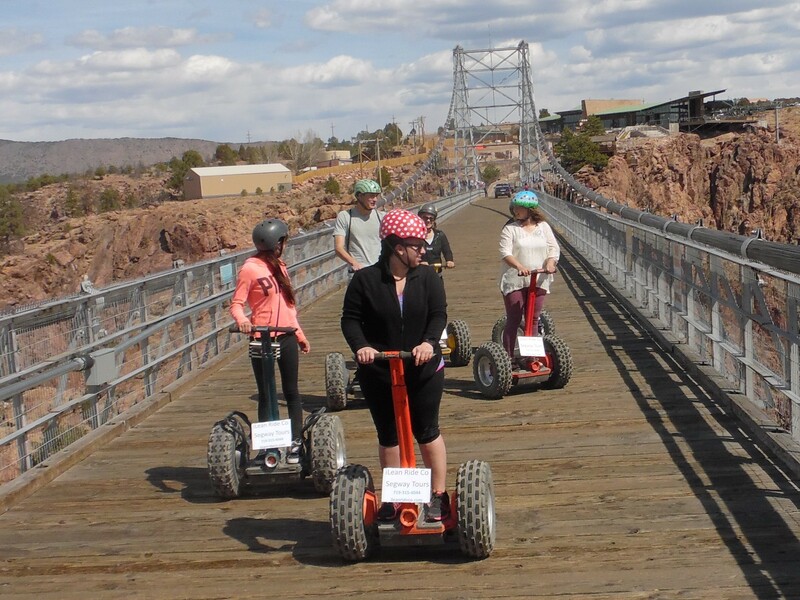 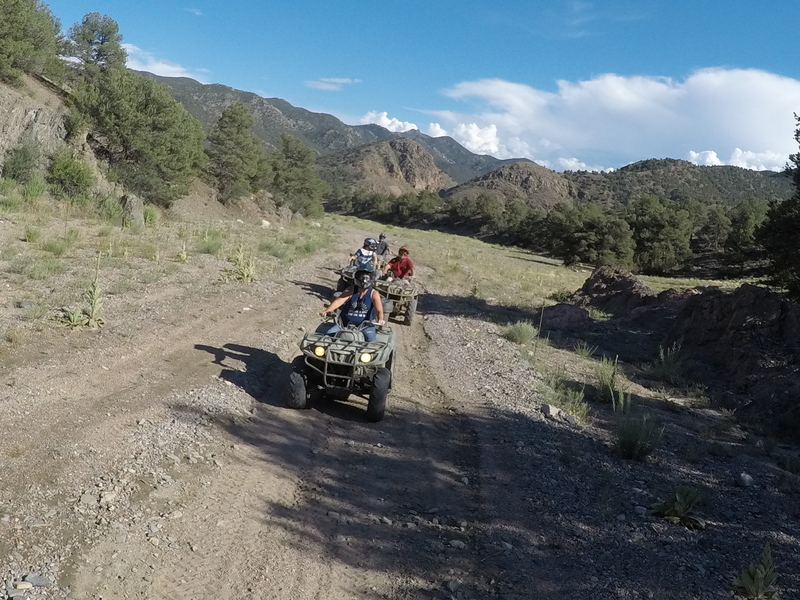 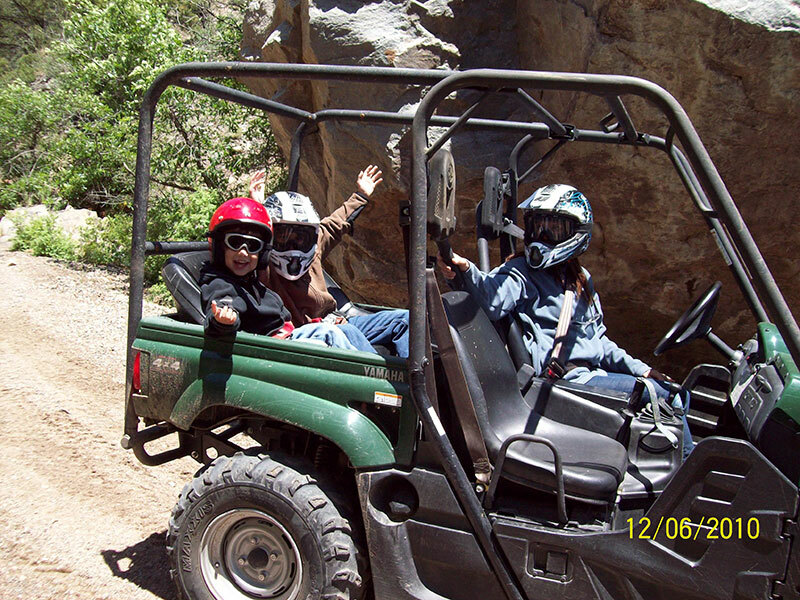 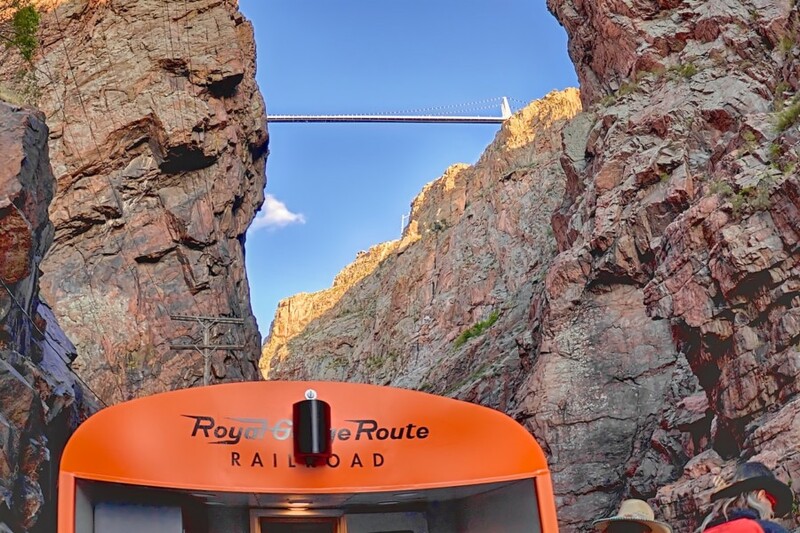 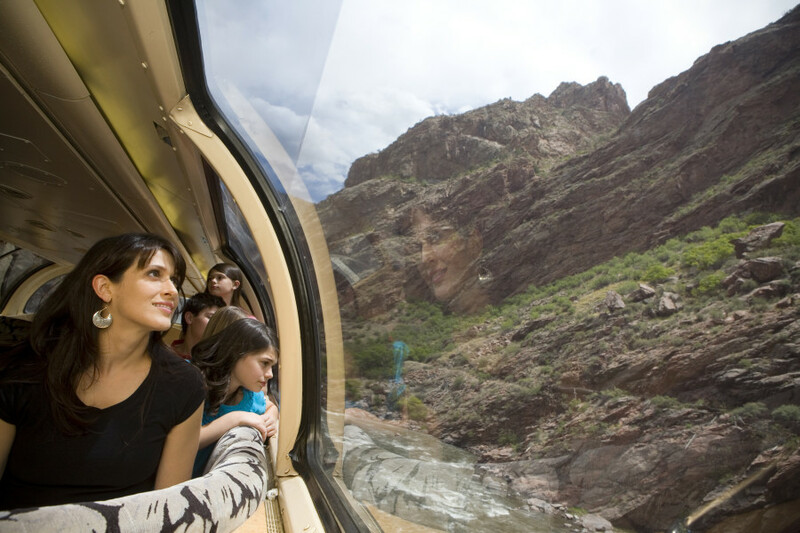 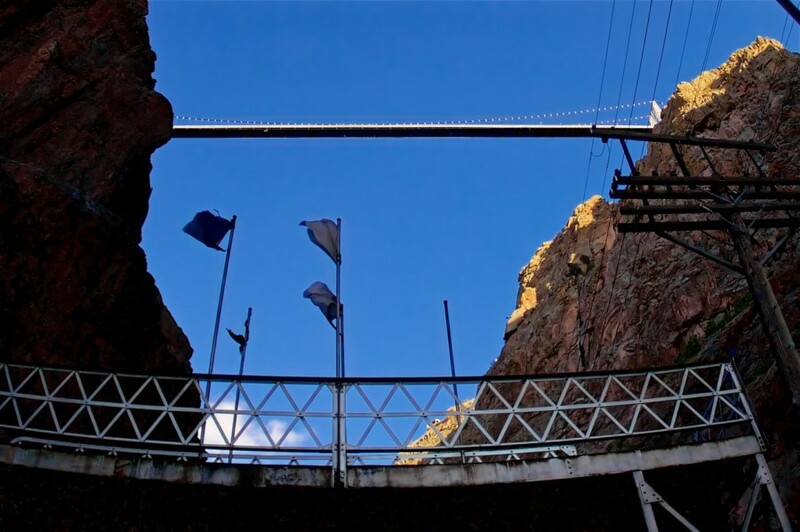 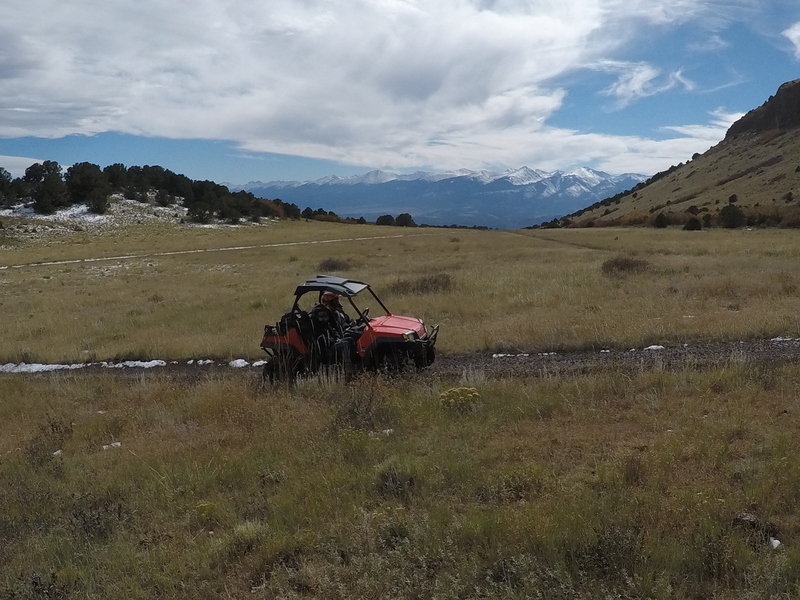 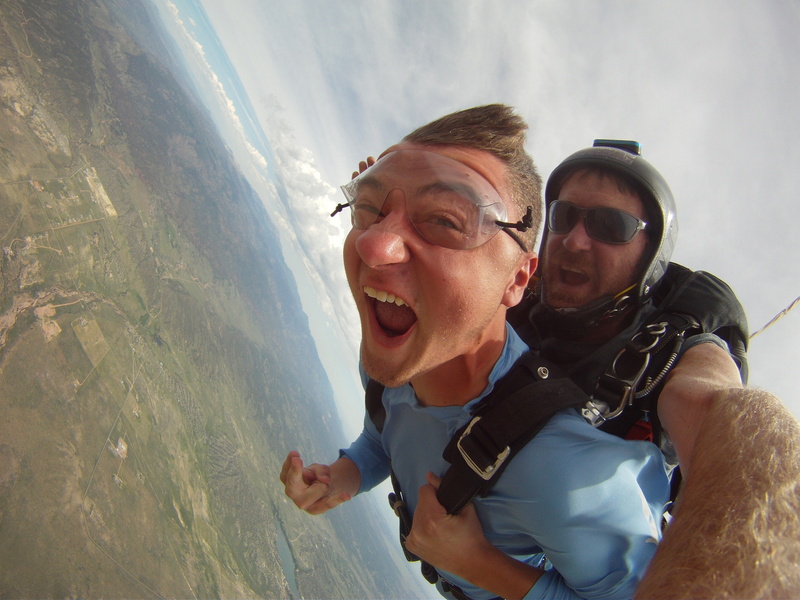 Fall rafting choices for Arkansas River trips include the Royal Gorge and Bighorn Sheep Canyon as well as packages that offer whitewater rafting and four-wheeling on a Colorado jeep tour. 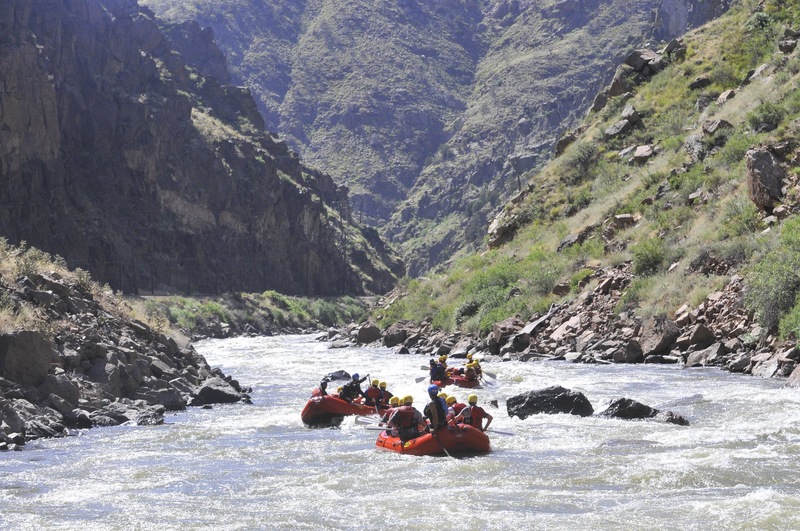 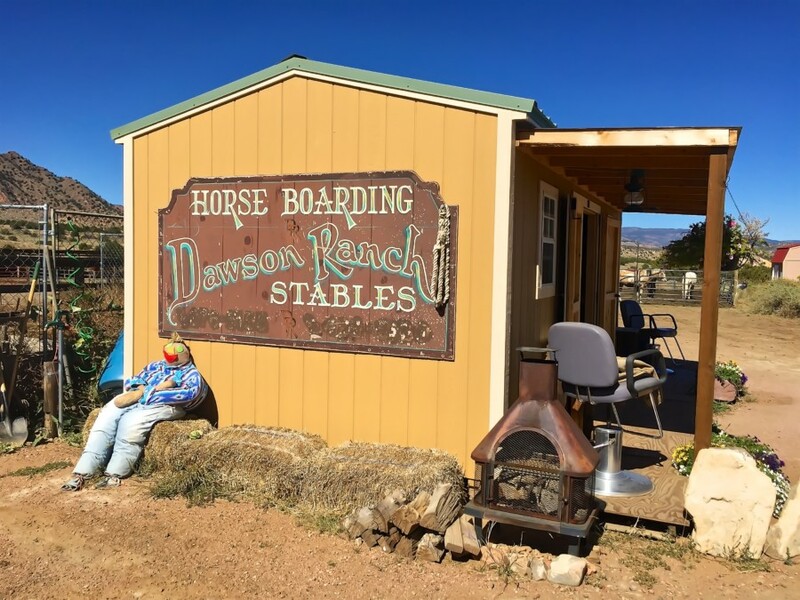 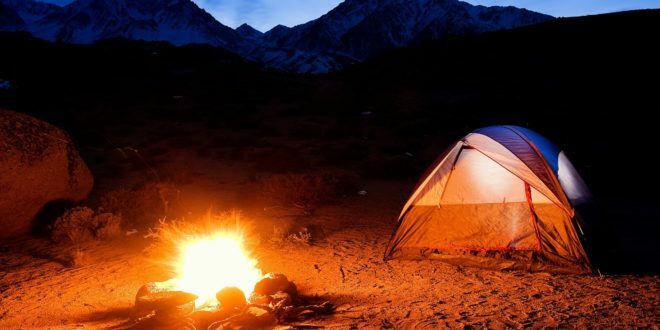 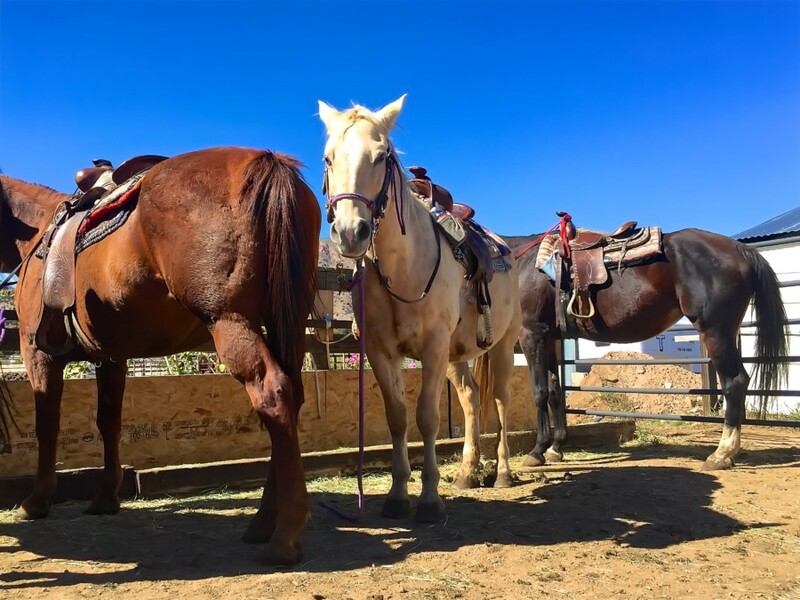 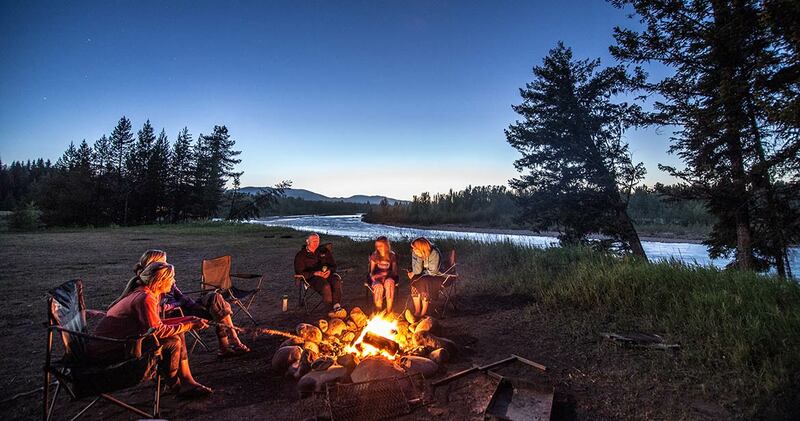 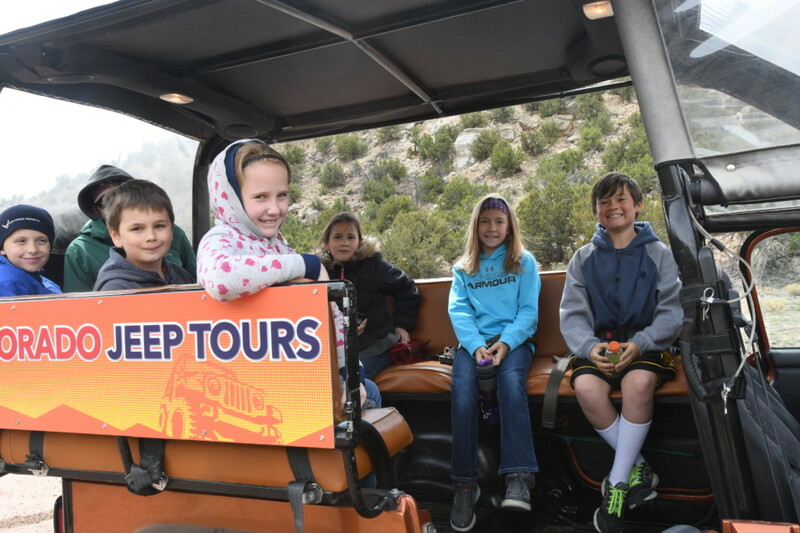 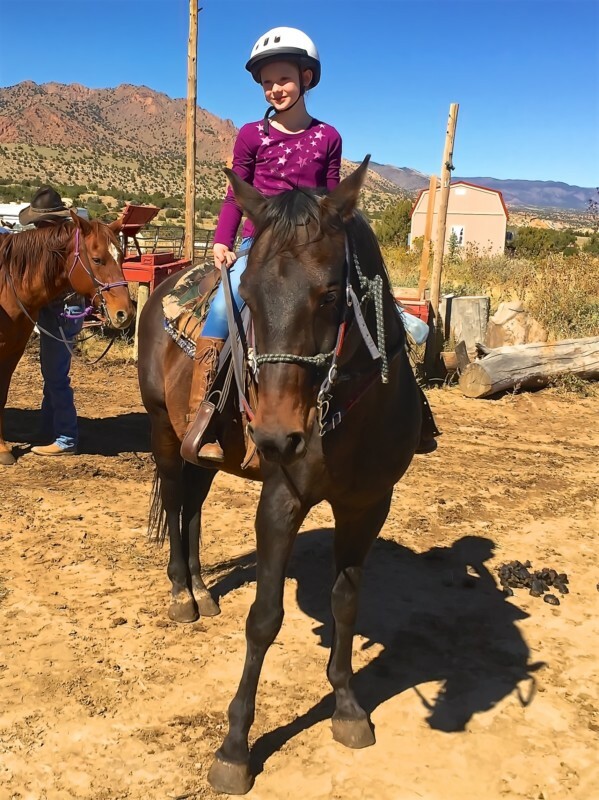 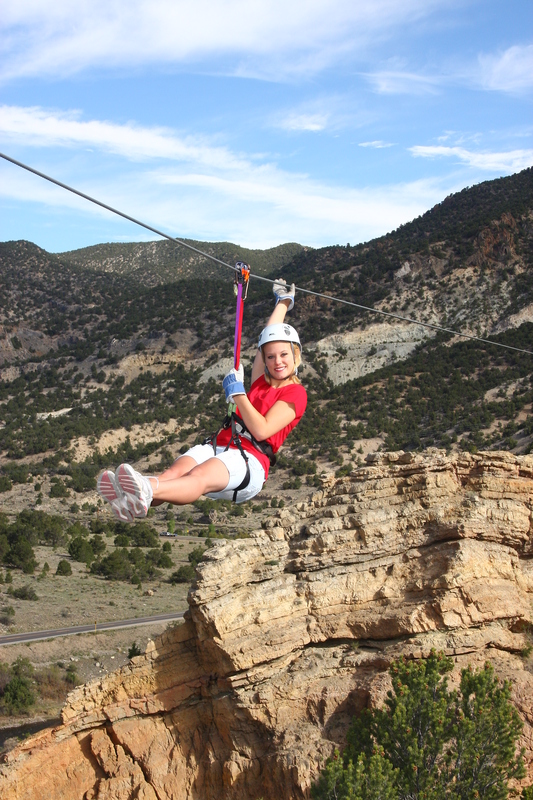 When conditions are right on the river, Raft Master's Bighorn Sheep Canyon trip provides an exciting experience for kids and seniors. 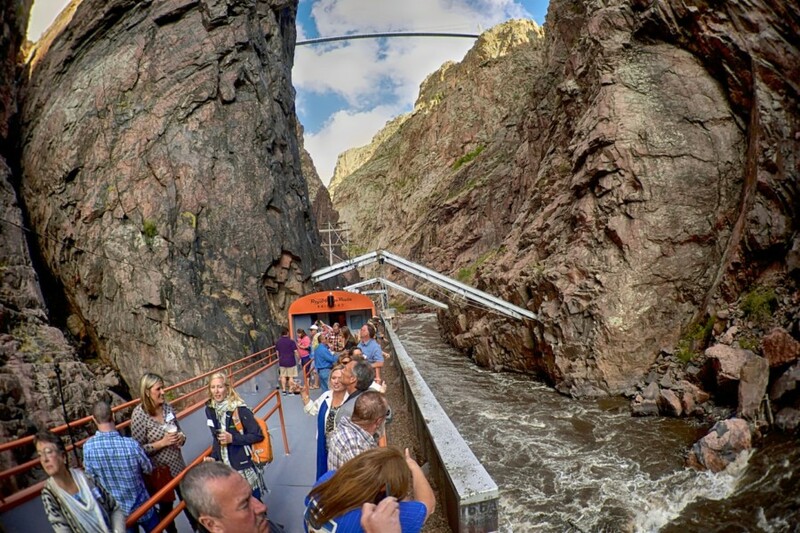 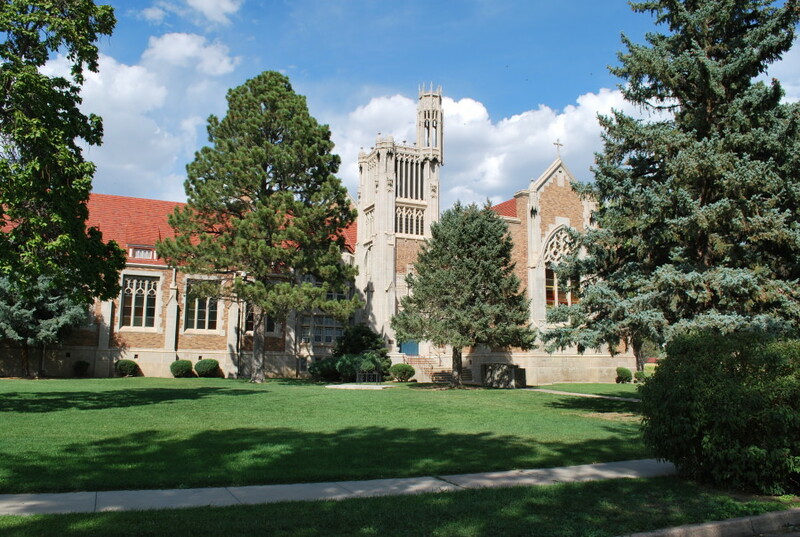 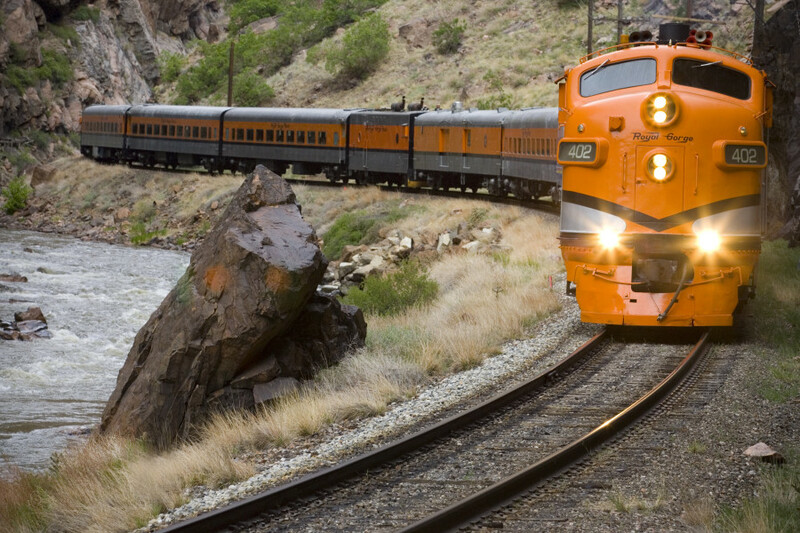 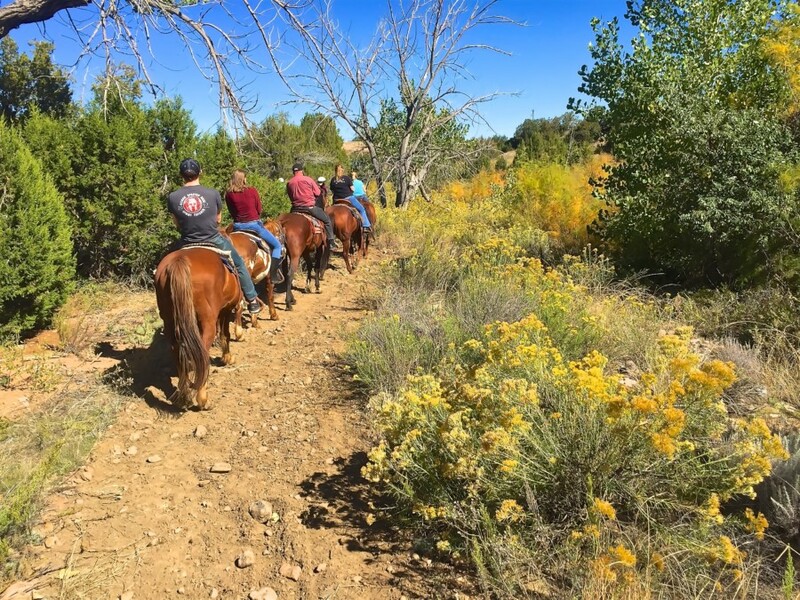 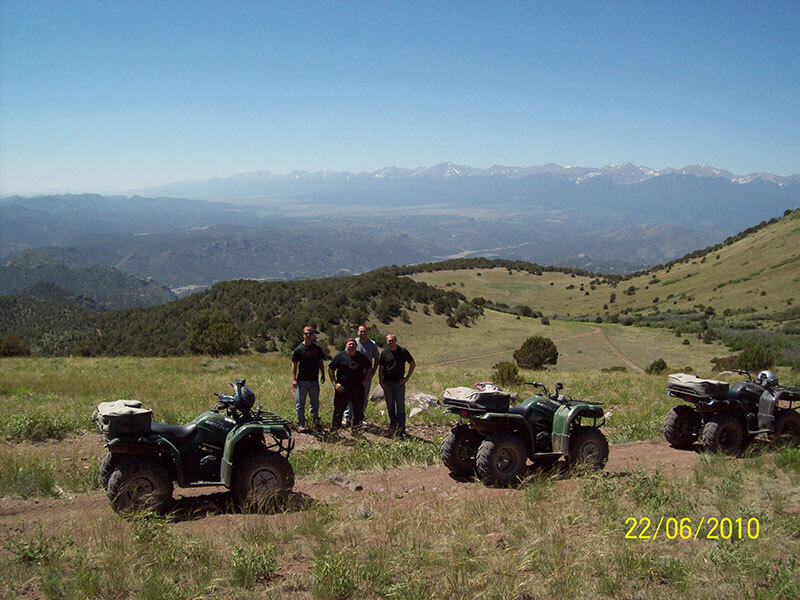 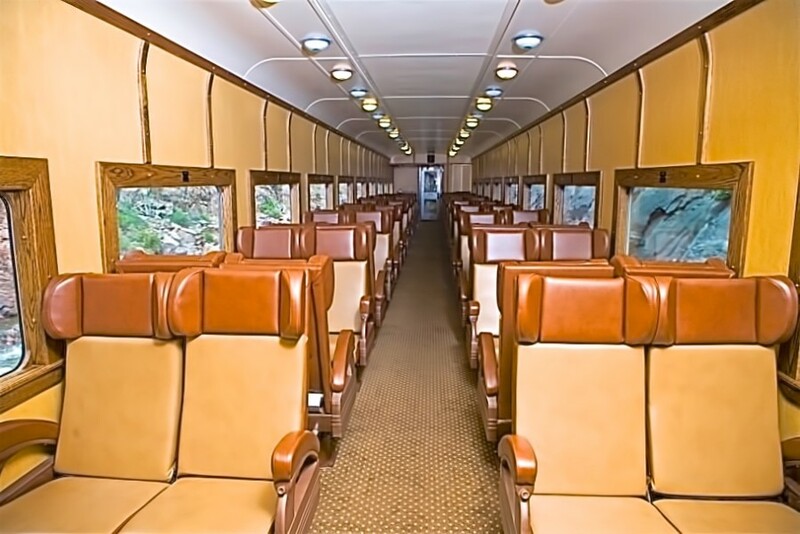 This is a particularly scenic area of the Arkansas River with tall trees far above the river's edge where you might get a glimpse of Colorado's famous Rocky Mountain Bighorn Sheep. 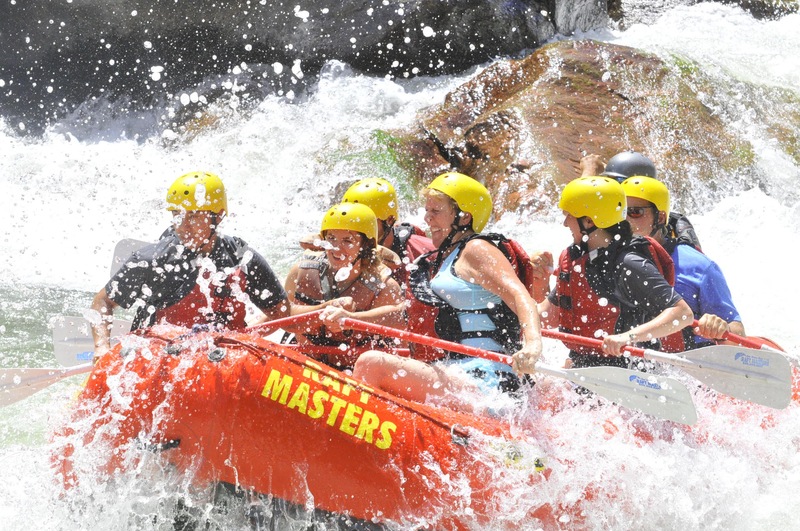 Get addicted to the most exhilarating activity you'll ever experience by booking your whitewater rafting adventure today with Raft Masters. 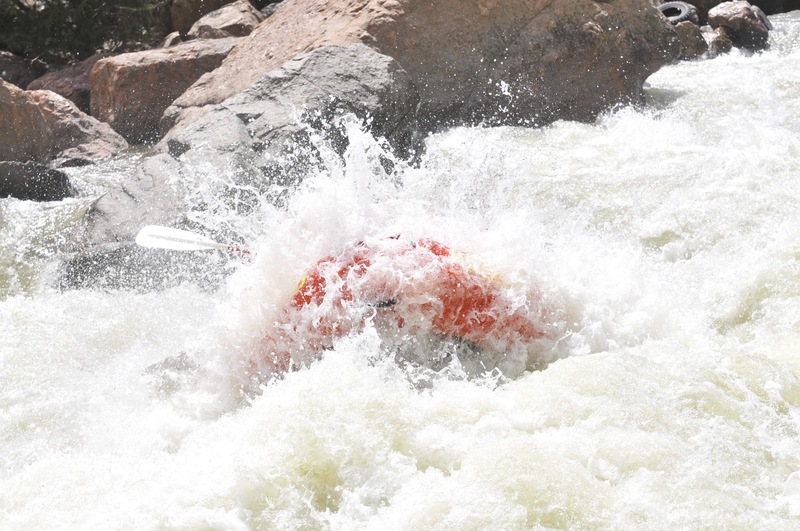 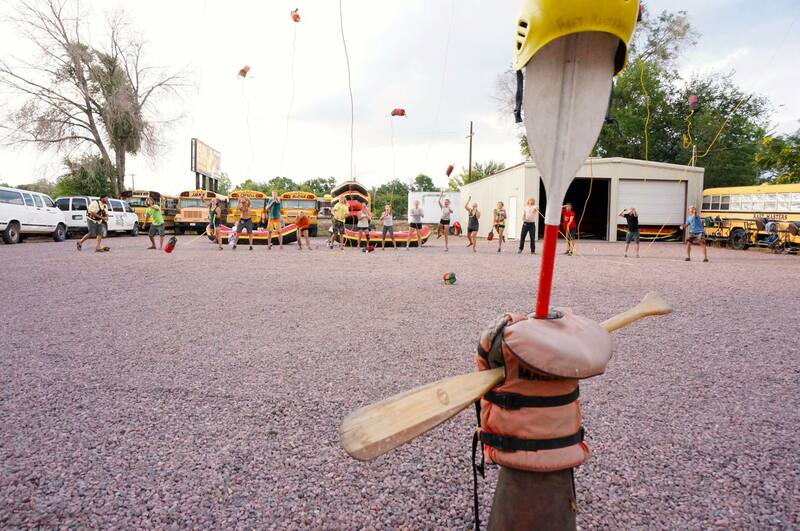 Labor Day has come and gone and Halloween will soon be creeping in to signal the end of the rafting season. 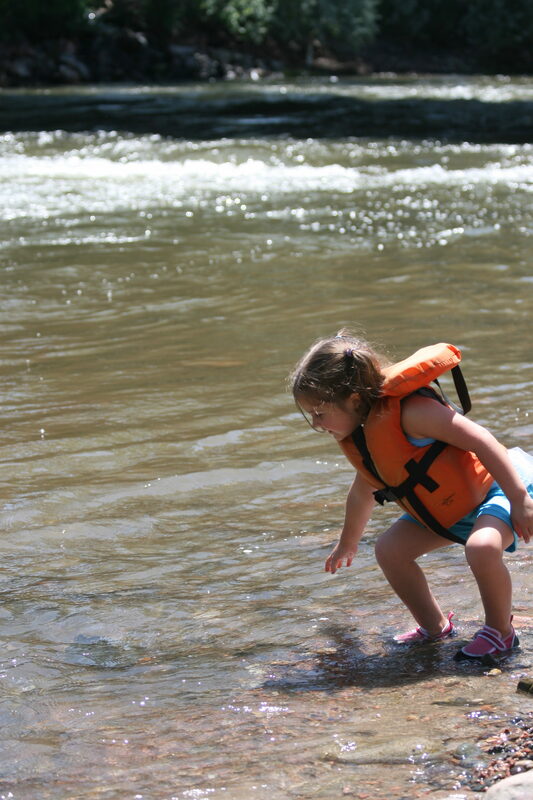 See you on the river!